Thara Angskun, Thawatphong Phithak and Jitimon Angskun, A Personalized System for Tourist Attraction Recommendation, Proceedings of 2016 International Workshop on Computer Science and Engineering (WCSE 2016), Tokyo, Japan, June 17-19, 2016, pp. 640-643. Jitimon Angskun, Sasiwimon Korbua and Thara Angskun, Time-related factors influencing on an itinerary planning system, Journal of Hospitality and Tourism Technology, Vol. 7(1), 2016, pp. 16-36. Dendeon Lerttayakul, Thara Angskun, Weerapong Polnigongit and Jitimon Angskun, A Decision Support System for Web Advertising Selection, Suranaree Journal of Social Science, Vol. 9(1), 2015, pp. 61-82. Thawatphong Phithak, Jitimon Angskun, and Thara Angskun, A Machine Learning-based Approach for Strumming Pattern Recognition from Ukulele Songs, INFORMATION: An International Interdisciplinary Journal, Vol. 18(2), 2015, pp. 705-718. Thara Angskun and Jitimon, Efficiency Travel Planning for Energy Conservation, International Academic Conference on Engineering, Internet and Technology in Prague 2014 (IAC-EIaT 2014), Prague, Czech Republic, Dec 12-13, 2014, pp. 7-13. 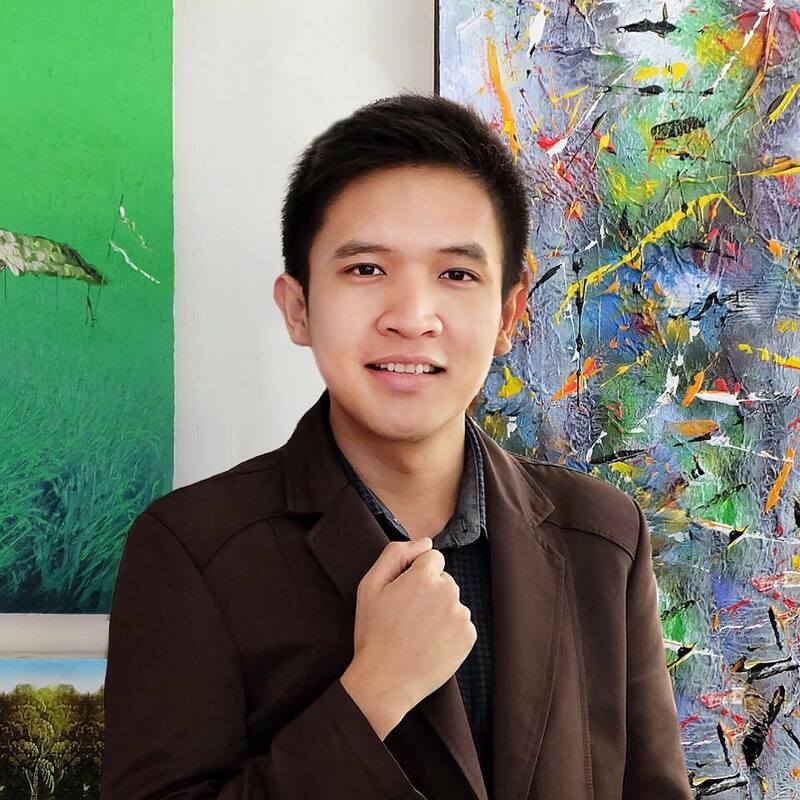 Jitimon Angskun and Thara Angskun, A Travel Itinerary Planner under Time Constraints, International Academic Conference on Engineering, Internet and Technology in Prague 2014 (IAC-EIaT 2014), Prague, Czech Republic, Dec 12-13, 2014, pp. 14-21. Natchanan Jarenkeate, Thara Angskun and Jitimon Angskun, An Online Travel Itinerary Planner under Energy Saving Constraints, The 6th Conference on Application Research and Development (ECTI-CARD 2014), Chiang Mai, Thailand, May 21-23, 2014, pp. 1130-1133. 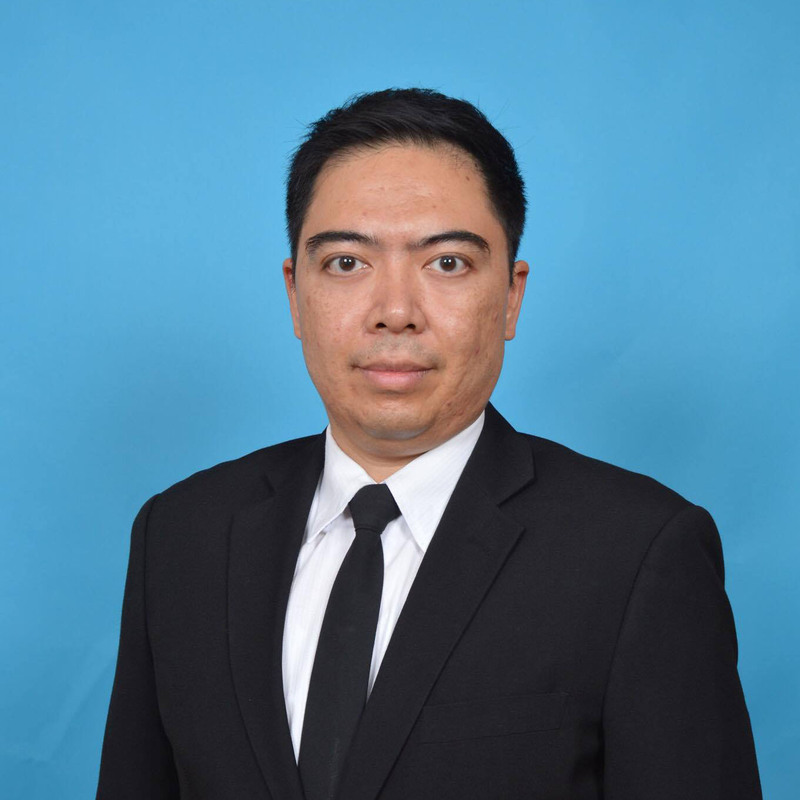 Pimsupa Saengsupawat, Thara Angskun and Jitimon Angkun, Ontology-based Knowledge Acquisition for Thai Ingredient Substitution, ARPN Journal of Engineering and Applied Sciences (ARPN), Vol. 9(10), 2014, pp. 1461-1468. Pichayasinee Kitwattanataworn, Thara Angskun and Jitimon Angkun, Semantic Analysis for Online Travel Accommodation Reviews, ARPN Journal of Engineering and Applied Sciences (ARPN), Vol. 9(10), 2014, pp. 1737-1743. Thara Angskun and Jitimon Angskun, A Personalized System for Travel Attraction Recommendation Using a Clustering Technique and an Analytic Hierarchy Process, Suranaree Journal of Social Science, Vol. 8(2), 2014, pp. 87-109. Komkid Chatcharaporn, Jitimon Angskun, and Thara Angskun, Tourist Attraction Categorization using a Latent Semantic Analysis and Machine Learning Techniques, INFORMATION: An International Interdisciplinary Journal, Vol. 17, 2014, pp. 2683-2698. Narodom Kittidachanupap, Jitimon Angskun, and Thara Angskun, A Comparison of Expert-based and Tourist-based Methods for Tourist Attraction Ranking, INFORMATION: An International Interdisciplinary Journal, Vol. 17, 2014, pp. 1991-2006. 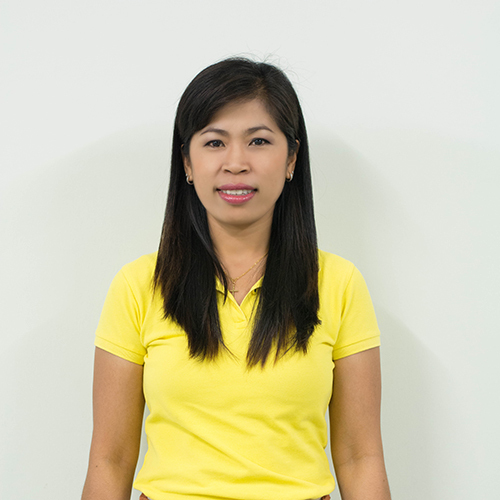 Pichayasinee Kitwattanataworn, Thara Angskun and Jitimon Angskun, An Automatic Analysis System for Online Hotel Reviews, WIT Transactions on Information and Communication Technologies, Vol. 58, 2014, pp. 51–59. Thawatphong Phithak, Jitimon Angskun, and Thara Angskun, Strumming Pattern Recognition from Ukulele Songs, WIT Transactions on Information and Communication Technologies, Vol. 49, 2014, pp. 83–91. Narodom Kittidachanupap, Thara Angskun and Jitimon Angskun, An Evaluation of Tourist Attraction Ranking Methods, WIT Transactions on Information and Communication Technologies, Vol. 49, 2014, pp. 29-38. Pimsupa Saengsupawat and Jitimon Angskun, The Design of an Ingredient Substitution Model for Thai Cuisine Recipe, Proceedings of the 20th Tri-University International Joint Seminar and Symposium 2013, Mie University, Japan, October 28– November 1, 2013. Pichayasinee Kitwattanataworn, Thara Angskun and Jitimon Angkun, A Knowledge Extraction System from Online Hotel Reviews using Fuzzy Logic, The Journal of King Mongkut’s University of Technology North Bankokok, Vol. 23(2), 2013, pp. 363-377. Chusak Yathongchai, Wilairat Yathongchai, Thara Angskun and Jitimon Angkun, Learner Classification Based on Learning Behavior and Performance, The 2013 IEEE Conference on Open Systems, Kuching, Malaysia, Dec 2-4, 2013, pp. 66-70. Surajit Pumikong Thara Angskun and Jitimon Angskun, A Method for Safety-Related News Extraction, Suranaree Journal of Social Science, Vol. 7(2), 2013, pp. 79-97. Wilairat Yathongchai, Thara Angskun and Jitimon Angkun, SQL Learning Object Ontology for an Intelligent tutoring system, International Journal of e-Education, e-Business, e-Management and e-Learning, Vol. 3(2), 2013, pp. 168-172. Komkid Chatcharaporn, Jitimon Angkun and Thara Angskun, Improving Performance of a Mobile Personalized Recommendation Engine using Multithreading, The 10th International Joint Conference on Computer and Software Engineering (JCSSE), Mahasarakham University, Maha Sarakham, Thailand, May 29-31, 2013, pp. 172-178. Wilairat Yathongchai, Nittaya Chotibut, Suphakit Niwattanakul, and Jitimon Angkun, A SQL Learning Object Repository Using Ontology, The 5th Conference on Application Research and Development (ECTI-CARD 2013), Nakornratchasima, Thailand, May 8-10, 2013, pp. 121-126. Surajit Pumikong, Thara Angskun and Jitimon Angskun, An Analysis Module of Place Insecurity Using News Extraction Method, The 5th Conference on Application Research and Development (ECTI-CARD 2013), Nakornratchasima, Thailand, May 8-10, 2013, pp. 465-470. Chanchai Kampa, Jitimon Angskun and Thara Angskun, Improving Helpdesk Ontology: A Case Study of Workload Management System, The 5th Conference on Application Research and Development (ECTI-CARD 2013), Nakornratchasima, Thailand, May 8-10, 2013, pp. 121-125. Tawan Kraiyai, Jitimon Angskun and Thara Angskun, The Development of Medical Expense Predictor for Appendix Surgical Operation, The 5th Conference on Application Research and Development (ECTI-CARD 2013), Nakornratchasima, Thailand, May 8-10, 2013, pp. 551-556. Wilairat Yathongchai and Jitimon Angkun, An Intelligent Tutoring System: Innovation for Next Generation Learning, Suranaree Journal of Social Science, Vol. 7(1), 2013, pp. 101-117. Sarawut Chanabamrung and Jitimon Angskun, A System for Negative Behavior Tendency Prediction of Students, The 5th National Conference on Information Technology (NCIT 2013), Petchburi, Thailand, February 26-27, 2013, pp. 265-270. Duangthida Rotkanok, Thara Angskun and Jitimon Angskun, A Decision Support System for Reducing Transport Period of Wood Chips, International Journal of Innovation, Management and Technology, Vol. 4(1), 2013, pp. 112-116. 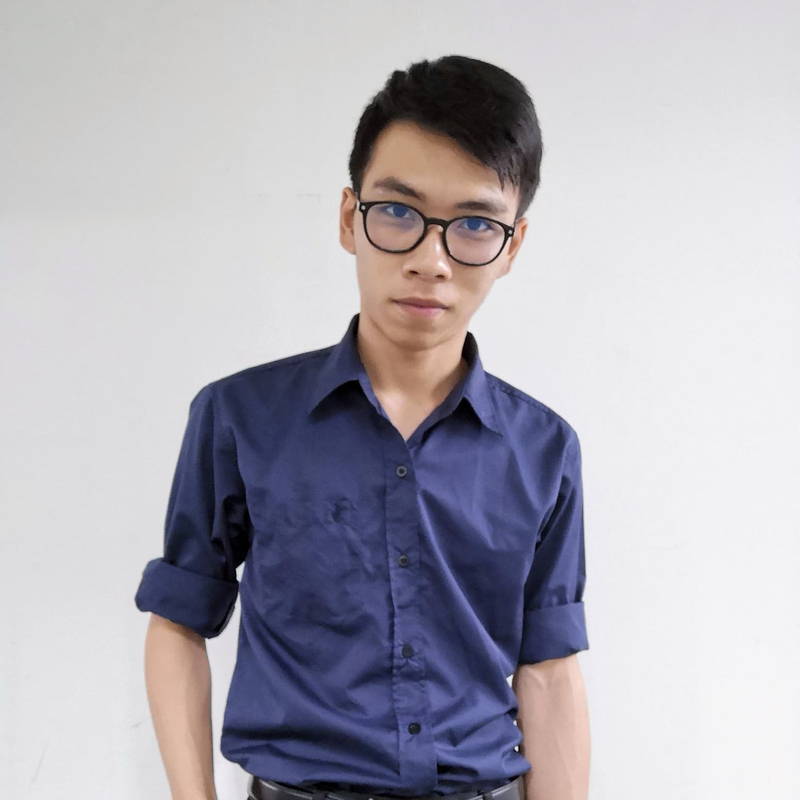 Chanchai Kampa, Jitimon Angskun and Thara Angskun, The Development of an Ontology for HelpDesk System: A Case Study of Workload Management System, Proceedings of the 25th National Graudate Research Conference. Nakhon Pathom, Thailand, pp. 1743-1752. Peerawat Iemkhoksung, Jitimon Angskun and Thara Angkun, The Development of a Smart Phone Application for Tourist Attractions Recommendation, Proceedings of the 25th National Grauduate Research Conference, Nakhon Pathom, Thailand, pp. 1651-1665. 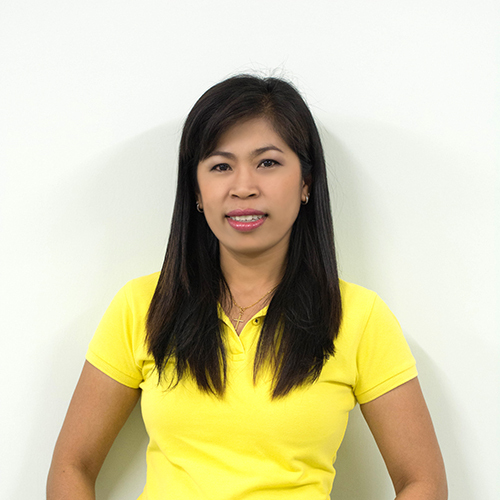 Chakkarin Santirattanaphakdi and Jitimon Angkun, A Usability Evaluation of a Meal Planning Software for Weight Control, Suranaree Journal of Social Science, Vol. 6(2), 2012, pp. 73-98. Komkid Chatcharaporn, Thara Angskun and Jitimon Angkun, Attraction Categorization Models Using Machine Learning Technique, Suranaree Journal of Social Science, Vol. 6(2), 2012, pp. 35-58. Komkid Chatcharaporn, Jitimon Angskun and Thara Angskun, SNSCombiner: A Module for Combining Social Networking Services to Identify User’s Interests in Tourism Domain, Burapa University International Conference 2012, Pattaya, Thailand, July 9-11, 2012, pp. 243-252. Prachasan Wanthaisong, Jitimon Angskun and Thara Angskun, A Simulation Software of Psychiatric Hospital Services Using Queuing Theory, The 4th Conference on Application Research and Development (ECTI-CARD 2012), Bangkok, Thailand, June 21-22, 2012, pp. 238-243. Thawatphong Phithak, Neunghathai Khopolklang and Jitimon Angskun, The Impact of Social Networking on E-learning Systems, Srinakharinwirot University (Journal of Science and Technology), Vol. 4(7), 2012, pp. 37-54. Pichayasinee Kitwattanataworn, Thara Angskun and Jitimon Angkun, A Knowledge Extraction System from Online Reviews using Fuzzy Logic, The 9th International Joint Conference on Computer and Software Engineering (JCSSE), University of the Thai Chamber of Commerce, Bangkok, Thailand, May 30-June 1, 2012, pp. 190-197. Chakkarin Santirattanaphakdi and Jitimon Angkun, The Development of a Meal Planning Software for Weight Control, The 9th International Joint Conference on Computer and Software Engineering (JCSSE), University of the Thai Chamber of Commerce, Bangkok, Thailand, May 30-June 1, 2012, pp. 1-6. Somjin Phiakoksong, Thara Angskun and Jitimon Angskun, A Comparison of Machine Learning Techniques for Student’s Opinion Sentence Identification, The 4th KKU International Engineering Conference 2012, Khon Kaen, Thailand, May 10-12, 2012, pp. 888-892. Varinthorn Chenchai, Jitimon Angskun and Thara Angskun, A Class Attendance Recording System via Bluetooth, Suranaree Journal of Social Science, Vol. 6(1), 2012, pp. 39-57. 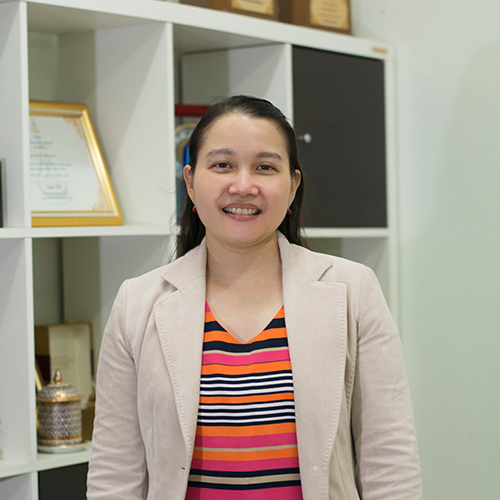 Tanet Boonyasathakul, Thara Angskun and Jitimon Angskun, The Decision Support System for Education Management of Undergraduate Curriculum, Suranaree Journal of Social Science, Vol. 6(1), 2012, pp. 19-38. Pichayasinee Kitwattanataworn, Suphakit Niwattanakul, Nisachol Chamnongsri, Thara Angskun and Jitimon Angskun, A Knowledge Extraction System from Online Reviews using Fuzzy Logic and Neural Network, The 4th SUT Graduate Conference, Suranaree University of Technology, Thailand, July 7-8, 2011, pp. 57-69. Varinthorn Chenchai, Jitimon Angskun and Thara Angskun, An Evaluation of a Class Attendance Recording System via Bluetooth, The 4th SUT Graduate Conference, Suranaree University of Technology, Thailand, July 7-8, 2011, pp. 70-79. Dendeon Lerttayakul, Thara Angskun, Weerapong Polnigongit and Jitimon Angskun, A Decision Support System for Web Advertising Selection, The 4th SUT Graduate Conference, Suranaree University of Technology, Thailand, July 7-8, 2011, pp. 80-90. Komkid Chatcharaporn, Paimanee Gaewsanga, Jitimon Angskun and Thara Angskun, JQWeb : The Flexible Web’s Display for Smartphone, The 4th SUT Graduate Conference, Suranaree University of Technology, Thailand, July 7-8, 2011, pp. 91-102. Lakkhana Choksakunsap and Jitimon Angskun, A Travel Recommendation System based on Individual Characteristics, The 4th SUT Graduate Conference, Suranaree University of Technology, Thailand, July 7-8, 2011, pp. 130-141. Suwanna Bulao, Thara Angskun and Jitimon Angskun, An Online Trip Planner under a Safety Constraint, The 4th SUT Graduate Conference, Suranaree University of Technology, Thailand, July 7-8, 2011, pp. 142-152. Tanet Boonyasathakul, Thara Angskun and Jitimon Angskun, A Design of Indicators for Supporting a Quality Education Management, The 4th SUT Graduate Conference, Suranaree University of Technology, Thailand, July 7-8, 2011, pp. 392-403. Komkid Chatcharaporn, Jitimon Angskun, Thara Angskun, Mobile Augmented Reality Based on Social Network, The 7th International Conference on Computing and Information Technology (IC2IT2011), King Mongkut’s University of Technology North Bangkok (KMUTNB), Bangkok, Thailand, May 11-12, 2011, pp. 133-138. Hassadee Pimsuwan, Jitimon Angskun, Thara Angskun, An Anthropological Museum Learning via Online 4D System, The 3rd Conference on Application Research and Development (ECTI-CARD 2011), Bangkok, Thailand, May 5-6, 2011, pp. 76-81. Pichayasinee Kitwattanataworn, Thara Angskun and Jitimon Angskun, A Knowledge Extraction System from Online Traveler Reviews, Suranaree Journal of Social Science, Vol. 5(1), 2011, pp. 33-46. Suda Tipprasert, Thara Angskun and Jitimon Angskun, An Evaluation of Curriculum Quality using Path Analysis and Data Envelopment Analysis, Suranaree Journal of Social Science, Vol. 5(1), 2011, pp. 63-77. Akkapon Wongkoblap, Hatthaya Kotcharat, Thara Angskun and Jitimon Angskun, CIT2011, A Tourism Information Searching System via the Semantic Web, National Conference on Computer Information Technologies (CIT2011), Mahidol University, Thailand, Jan 26-28, 2011, pp. 119-124. Wipawan Pansung, Thara Angskun and Jitimon Angskun, A Routing Algorithm of Running on Empty Trucks for Reducing Transportation Costs, The 19th National Graduate Research Conference, Chachoengsao, Thailand, Dec 23-24, 2010, pp. 267. Hatthaya Kotcharat, Thara Angskun and Jitimon Angskun, The Development of Rural Tourism Ontology, The 19th National Graduate Research Conference, Chachoengsao, Thailand, Dec 23-24, 2010, pp. 143. Thawatphong Phithak, Neunghathai Khopolklang and Jitimon Angskun, Integrating Learning Content Management System with Weblog under E-Learning Framework, Suranaree Journal of Social Science, Vol. 4(1), 2010, pp. 79-94. Pichayasinee Kitwattanataworn, Thara Angskun and Jitimon Angskun, An Automatic Knowledge Extraction System from Traveler Reviews, The 2nd Conference on Application Research and Development (ECTI-CARD 2010), Pattaya, Thailand, May 10-12, 2010, pp. 349-354. Rachaya Varajitkasem, Jitimon Angskun and Thara Angskun, A Historical Learning System via Online 4D System: Case Study of Phimai Sanctuary Architecture, The 2nd Conference on Application Research and Development (ECTI-CARD 2010), Pattaya, Thailand, May 10-12, 2010, pp. 87-92. Khajohnsak Thongrod, Jessada Tanthanuch, Jitimon Angskun and Thara Angskun, A Development of a Decision Support System for Oil Transportation, The 2nd Conference on Application Research and Development (ECTI-CARD 2010), Pattaya, Thailand, May 10-12, 2010, pp. 277-282. Dendeon Lerttayakul, Thara Angskun, Weerapong Polnigongit and Jitimon Angskun, A Decision Support System for Advertising Period Selection in Television Media, The 2nd Conference on Application Research and Development (ECTI-CARD 2010), Pattaya, Thailand, May 10-12, 2010, pp. 328-333. Wipawan Pansung, Jitimon Angskun and Thara Angskun, Routing Algorithm for Reducing Running on Empty Truck, The 6th National Transport Conference, Pitsanulok, Thailand, October 28-30, 2009. Jitimon Angskun and Thara Angskun, An Optimization Model for an Intercropping Planning System, The International Conference on Information and Multimedia Technology (ICIMT), Jeju, Korea, December 18-19, 2009, pp. 135-138. Thara Angskun and Jitimon Angskun, A Travel Planning Optimization under Energy and Time Constraints, The International Conference on Information and Multimedia Technology (ICIMT), Jeju, Korea, December 18-19, 2009, pp. 131-134. Piyarat Ngamsanit, Thara Angskun and Jitimon Angskun, An Online Trip Planner under Energy and Time Constraints, The 13th National Computer Science and Engineering Conference, Bangkok, Thailand, November 4-6, 2009, pp. 67-72. Benjapuk Jongmuanwai, Jitimon Angskun and Thara Angskun, DSG: A Decision Support System for Garment Industry, The 8th International Conference on e-Business 2009, Bangkok, Thailand, October 28-30, 2009, pp. 33-37. Sinthana Patthanakitpitoon, Jitimon Angskun and Thara Angskun, An Online 3D System Management for Wireless Network Configuration, The 5th Conference on Administration and Management, Dhurakij Pundit University, Bangkok, Thailand, October 21-22, 2009, pp. 51. Benjapuk Jongmuanwai, Jitimon Angskun and Thara Angskun, A Decision Support System for Manager in Garment Industry, The 5th Conference on Administration and Management, Dhurakij Pundit University, Bangkok, Thailand, October 21-22, 2009, pp. 7. Varinthorn Chenchai, Jitimon Angskun and Thara Angskun, A Student Name Verification System via Bluetooth, The 5th Conference on Administration and Management, Dhurakij Pundit University, Bangkok, Thailand, October 21-22, 2009, pp. 52. Saharat Areeras, Thara Angskun and Jitimon Angskun, Intercropping Planning Models for an Agricultural Expert System, The 3rd International Conference on Advances in Information Technology (IAIT), CCIS, Vol. 55. Springer-Verlag, Berlin Heidelberg, 2009, pp. 30-38. Varinthorn Janchai, Jitimon Angskun and Thara Angskun, A Security Analysis of Mobile Phones, Suranaree Journal of Social Science, Vol. 3(1), 2009, pp. 99-112. 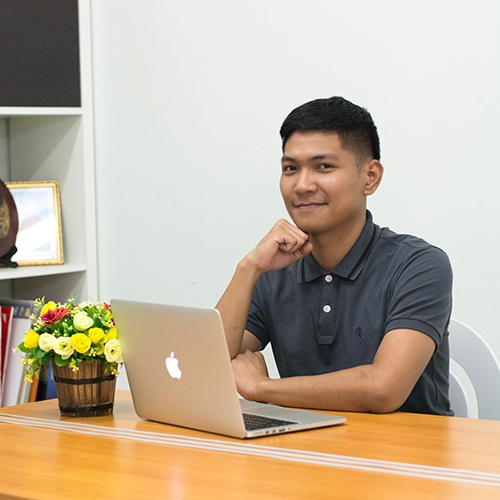 Jitimon Angskun and Thara Angskun, Online Trip Planners for the Tourism Industry. Suranaree Journal of Social Science, Vol. 2(1), 2008, pp. 33-45. Jitimon Keinduangjun, Punpiti Piamsa-nga, Yong Poovorawan, Intelligent data recognition of DNA sequences using statistical models. In: Pattern Recognition and Machine Learning. Lecture Notes in Computer Science, Vol. 3776. Springer-Verlag, Berlin Heidelberg, 2005, pp. 630-635. Jitimon Keinduangjun, Punpiti Piamsa-nga, Yong Poovorawan, DNA Sequence identification by statistics-based models. In: Wang, L., Jin, Y. (eds. ): Fuzzy Systems and Knowledge Discovery. Lecture Notes in Artificial Intelligence, Vol. 3614. Springer-Verlag, Berlin Heidelberg, 2005, pp. 1041-1050. Jitimon Keinduangjun, Punpiti Piamsa-nga, Yong Poovorawan, Signature recognition methods for identifying Influenza sequences. In: Miksch, S., et al. (eds. ): Artificial Intelligence in Medicine. Lecture Notes in Artificial Intelligence, Vol. 3581. Springer-Verlag, Berlin Heidelberg, 2005, pp. 504-513. Jitimon Keinduangjun, Punpiti Piamsa-nga, Yong Poovorawan, Models for discovering signatures in DNA sequences. Proceedings of the 3rd IASTED International Conference on Biomedical Engineering, Innsbruck, Austria, February 16-18, 2005, pp. 548-553. Punpiti Piamsa-nga and Jitimon Keinduangjun, Improving DNA sequence matching algorithm using a frequency-based and parallel model, The International Conference on Bioinformatics (InCoB 2002), Bangkok, Thailand, February 6-8, 2002, pp. 71. Jitimon Keinduangjun and Punpiti Piamsa-nga, Frequency-based algorithms for DNA sequence matching, Asia-Pacific Advanced Network Conference, Malaysia, August 20-22, 2001. Somnuk Keretho, Jitimon Keinduangjun and Punpiti Piamsa-nga, Introduction to Bio-Mirror: Biological database of APAN, Nectec Technical Journal, Vol. 8, 2000, pp. 119-126. Jitimon Keinduangjun and Punpiti Piamsa-nga, A design of matching algorithms for DNA sequences, The 4th National Computer Science and Engineering Conference, Bangkok, Thailand, November 16-17, 2000. วีรพงษ์ พลนิกรกิจ. การเขียนข่าววิทยุกระจายเสียงและวิทยุโทรทัศน์เบื้องต้น. กรุงเทพฯ : เอดิสันเพรสโปรดักส์, 2545. วีรพงษ์ พลนิกรกิจ. การสื่อสารสหกิจศึกษา. ในประมวลสาระชุดฝึกอบรมสหกิจศึกษา ชุดที่ 2. วิจิตร ศรีสอ้าน และคนอื่น ๆ. กรุงเทพฯ : สมาคมสหกิจศึกษาไทย, 2552. โทรทัศน์และกิจการโทรคมนาคมแห่งชาติ (กสทช.). กรุงเทพฯ : เอดิสันเพรสโปรดักส์, 2554. สำนักงานคณะกรรมการกิจการกระจายเสียง กิจการโทรทัศน์และกิจการโทรคมนาคมแห่งชาติ (กสทช.). กรุงเทพฯ : เอดิสันเพรสโปรดักส์, 2555. วีรพงษ์ พลนิกรกิจ. การเขียนบทรายการสำหรับเด็ก. กรุงเทพฯ : ห้างหุ้นส่วนจำกัด ภาพพิมพ์, 2556. วีรพงษ์ พลนิกรกิจ. การเขียนบทรายการสำหรับเด็ก (พิมพ์ครั้งที่ 2 ฉบับปรับปรุง). วีรพงษ์ พลนิกรกิจ. การบริหารจัดการภาพลักษณ์. ในประมวลสาระ หลักสูตร นักบริหารระดับกลางมหาวิทยาลัยในกำกับของรัฐ. วิจิตร ศรีสอ้าน และคนอื่น ๆ. นครราชสีมา : มหาวิทยาลัยเทคโนโลยีสุรนารี, 2558. บ้าน. 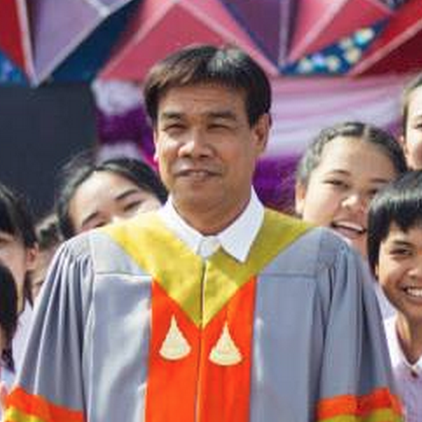 กรุงเทพฯ : บริษัทกิตติพรการพิมพ์, 2558. และหน้าที่ของนักจัดรายการวิทยุในจังหวัดนครราชสีมา. วารสารนิเทศศาสตร์. 20 (1) : 1-13. จังหวัดนครราชสีมา. วารสารนิเทศศาสตร์. 22 (3) : 1-14. วีรพงษ์ พลนิกรกิจ, เสกสรร พรหมพิทักษ์ และ นิภากร กำจรเมนุกูล. (2549). แนวทางการพัฒนาวิทยุชุมชนเพื่อตอบสนองความต้องการของชุมชนจังหวัดนครราชสีมา และจังหวัดบุรีรัมย์. ในกาญจนา แก้วเทพ. วีรพงษ์ พลนิกรกิจ. (2550). โทรทัศน์ชุมชนในประเทศออสเตรเลีย. วารสารเทคโนโลยีสุรนารี. 1 (2) : 31-44. วารสารเทคโนโลยีสุรนารี. 4 (1) : 45-63. Thailand Research Symposium 2010 โดยสำนักงานคณะกรรมการวิจัยแห่งชาติ, สิงหาคม 2553. วีรพงษ์ พลนิกรกิจ. (2555). โทรทัศน์ชุมชนในประเทศออสเตรเลีย. วารสารเทคโนโลยีสุรนารี. 1 (6) : 75-99. และสาธารณรัฐประชาธิปไตยประชาชนลาว. วารสารเทคโนโลยีสุรนารี. 2 (5) : 51-91. บนหน้าจอโทรศัพท์มือถือ. วารสารเทคโนโลยีสุรนารี. 2 (5) : 93-107. หนึ่งหทัย ขอผลกลาง วีรพงษ์ พลนิกรกิจ และนิศาชล จำนงศรี. (2554). มองผู้หญิงกับสื่อใหม่ในสังคมไทย ผ่านงานวิจัยแนวสตรีนิยมไซเบอร์. วารสารเทคโนโลยีสุรนารี. 2 (5) : 149-158. การตัดสินใจเพื่อการเลือกโฆษณาทางเว็บไซต์. วารสารเทคโนโลยีสุรนารี. 9 (1) : 61-82. Research). วารสารสารสนเทศศาสตร์ มหาวิทยาลัยขอนแก่น.33(3). 112 - 129. Polnigongit, W. ‘Participation in community radio in Thailand: crossing the Thai-Lao border’, in proceedings of the IAMCR 25th conference and general assembly. Cairo: The American University in Cairo, July 2006. Polnigongit, W. (2007). ‘Participation in community radio in Thailand: the case study of Mukdahan province’s community enterprise radio station”, in Chitty, N. and S. Rattikalchalakorn (eds), Alternative Media: Idealism vs Pragmatism, Kuala Lumpur: Southbound. Posawang, P., Phosaard, S., Pattara-Atikom, W. and Polnigongit, P., “A Multimedia-Based and Time-Sensitive Interactive Web Survey for Road User Opinion on Traffic Condition,” in Proceedings of the ECTI-CON2008, May 2008. Wijakprasert, A., Pattara-Atikom, W., Phosaard, S. and Polnigongit, W., “Intuitive & Light-Weight Driving Direction on Mobile Phone,” in Proceedings of the World Congress on Engineering 2008, July 2008. Jaroenjanyakul, J., Pattara-Atikom, W., Phosaard, S. and Polnigongit, W., “User-Feedback for Road Traffic Information using Mobile Phone,” in Proceedings of the World Congress on Engineering 2008, July 2008. 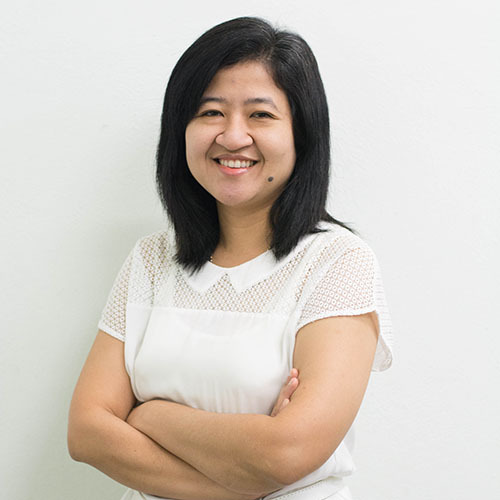 Polnigongit, W. ‘Border Radio: Prospective Roles in strengthening the Relationship between Thailand and Laos’, paper presented at the IAMCR 26th conference and general assembly. Stockholm: Stockholm University, July 2008. Khopolklang, N., Polnigongit, W. and Chamnongsri, N. (2014). 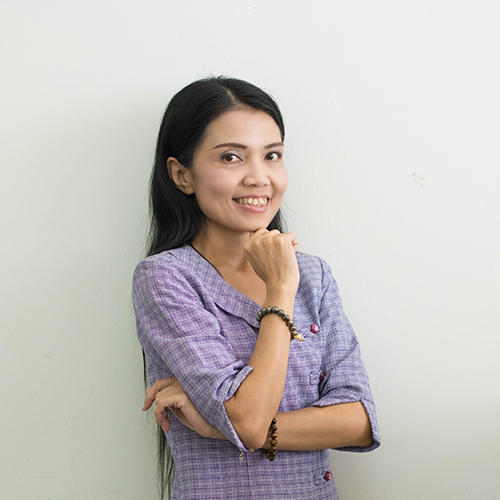 Influence of the Thai Mass Media on Violence Against Women: Synthesis of Research Studies. Kasetsart Journal: Social Sciences. 35(1) : 167-176. A Case Study of Thailand in 2010, Proceedings of the X Worldwide Forum on Education and Culture. Rome, Italy, 30 Novermber - 2 December 2010.
general assembly. Durban, South Africa : University of KwaZulu-Natal, July 2012. การประมวลองค์ความรู้. ทุนการวิจัยและจัดพิมพ์โดย สำนักงานกองทุนสนับสนุนการวิจัย, 2543. (นักวิจัย). วีรพงษ์ พลนิกรกิจ และ หนึ่งหทัย ขอผลกลาง. ปัจจัยที่มีอิทธิพลต่อบทบาทและหน้าที่ของนักจัดรายการวิทยุในจังหวัดนครราชสีมา. ทุนการวิจัยโดย สถาบันวิจัยและพัฒนา มหาวิทยาลัยเทคโนโลยีสุรนารี, 2544. (หัวหน้าโครงการ). วีรพงษ์ พลนิกรกิจ, เสกสรร พรหมพิทักษ์ และ นิภากร กำจรเมนุกูล. แนวทางการพัฒนาวิทยุชุมชนเพื่อตอบสนองความต้องการของชุมชนจังหวัดนครราชสีมา และจังหวัดบุรีรัมย์. ทุนการวิจัยโดย สำนักงานกองทุนสนับสนุนการวิจัย, 2545. 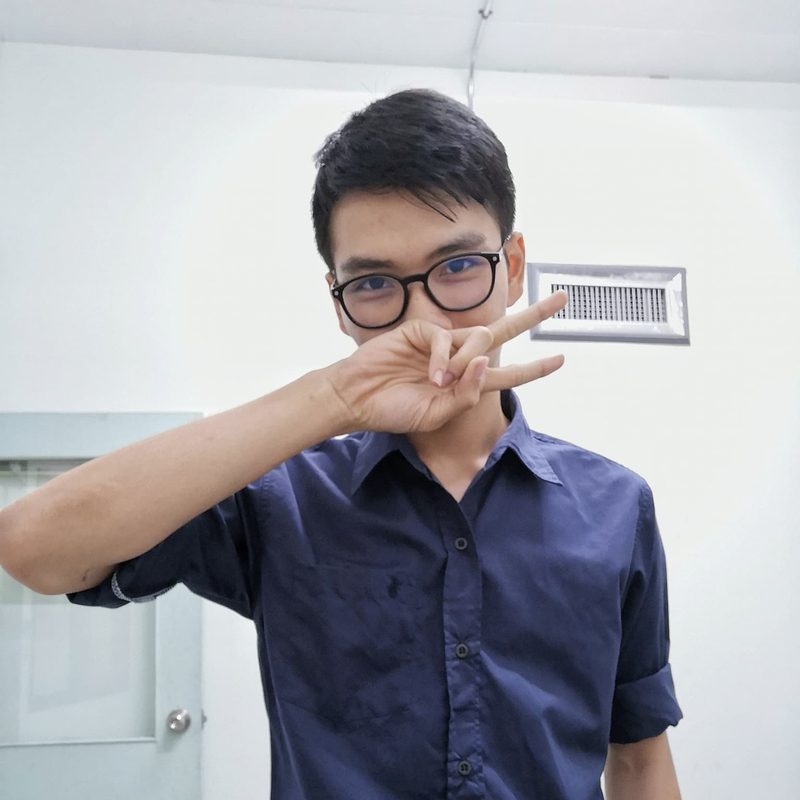 (หัวหน้าโครงการหลัก). สวัสดิการชุมชน อำเภอพิมาย จังหวัดนครราชสีมา. ทุนวิจัยโดย กระทรวงการพัฒนาสังคมและความมั่นคงของมนุษย์, 2550. (นักวิจัย). ของมหาวิทยาลัยเทคโนโลยีสุรนารี (มทส.) ในสายตาประชาคม มทส. ครูแนะแนว ผู้ปกครอง และนักเรียน. ทุนวิจัยโดย มหาวิทยาลัยเทคโนโลยีสุรนารี, 2550. (หัวหน้าโครงการ). แนวคิดในการจัดระบบสื่อลามกของไทย. ทุนวิจัยโดย สำนักงานคณะกรรมการวิจัยแห่งชาติ ประจำปีงบประมาณ พ.ศ. 2550. (นักวิจัย). ส่งเสริมความสัมพันธ์ระหว่างประเทศไทยและสาธารณรัฐประชาธิปไตยประชาชนลาว. ทุนวิจัยโดย สำนักงานคณะกรรมการวิจัยแห่งชาติ ประจำปีงบประมาณ พ.ศ. 2550. ส่งเสริมความสัมพันธ์ระหว่างประเทศไทยและกัมพูชา. ทุนวิจัยโดย วช. – มทส. ระหว่างประเทศไทยและมาเลเซีย. ทุนวิจัยโดย สำนักงานคณะกรรมการวิจัยแห่งชาติ ประจำปีงบประมาณ พ.ศ. 2554. วีรพงษ์ พลนิกรกิจ และคณะ. การเทียบระดับการบริหารและการจัดการมหาวิทยาลัย : กรณีศึกษามหาวิทยาลัยเทคโนโลยีสุรนารี. ทุนวิจัยโดย มหาวิทยาลัยเทคโนโลยีสุรนารี, 2556. (หัวหน้าโครงการ). วีรพงษ์ พลนิกรกิจ และคณะ. 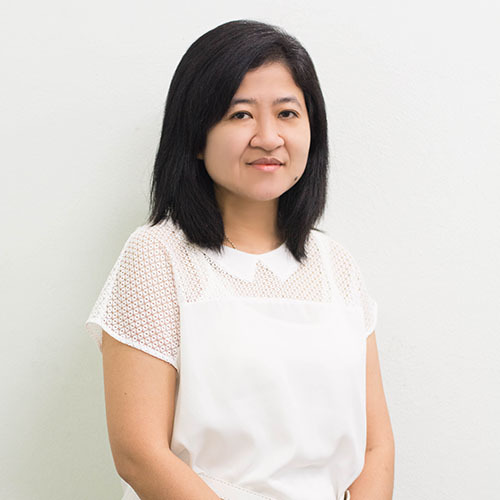 การเทียบระดับการบริหารและการจัดการมหาวิทยาลัย กรณีศึกษา: มหาวิทยาลัยเทคโนโลยีสุรนารี มหาวิทยาลัยราชภัฏเทพสตรี และมหาวิทยาลัยวลัยลักษณ์. ทุนวิจัยโดย มหาวิทยาลัยเทคโนโลยีสุรนารี, 2556. (หัวหน้าโครงการ). วีรพงษ์ พลนิกรกิจ และคณะ. วิจัยประมวลองค์ความรู้ ด้านการวิจัยสหกิจศึกษา. ทุนวิจัยโดย มหาวิทยาลัยเทคโนโลยีสุรนารี, 2556. (หัวหน้าโครงการ). Sirapat Boonkrong. Internet Banking Login with Multi-Factor Authentication. KSII Transactions on Internet and Information Systems (TIIS), Vol. 11, No. 1, pp. 511 – 535, January 2017. Weena Jaratchakool, Sirapat Boonkrong and Sucha Smachat. Finding the Optimal Value for Threshold Cryptography on Cloud Computing. IAES International Journal of Electrical and Computer Engineering (IJECE), Vol. 6, No. 6, 2016. Supachai Kanchanapokin and Sirapat Boonkrong. Analysis of Organisational Vulnerability using Social Network Analysis and Attack Graph. GSTF Journal on Computing, Vol. 5, No. 1, pp. 1 – 7, August 2016. Weena Jaratchakool, Sirapat Boonkrong and Sucha Smachat. Finding an Optimal Parameter for Threshold Cryptography. In Proceedings of the 12th International Conference on Computing and Information Technology (IC2IT2016), Recent Advances in Information and Communication Technology 2016, Advances in Intelligent Systems and Computing Series, Springer, pp. 223 – 232, Khon Kaen, Thailand, 2016. Sirapat Boonkrong and Chaowalit Somboonpattanakit. Dynamic Salt Generation and Placement for Secure Password Storing. IAENG Journal of Computer Science, Vol. 43, No. 1, pp. 27 – 36, 2016. Jieling Zhang and Sirapat Boonkrong. Dynamic Salt Generating Scheme using Seeds Warehouse Table Coordinates. In Proceedings of the 2nd International Conference on Information Science and Security (ICISS 2015), Seoul, Republic of Korea, 14th – 16th December 2015. Sirapat Boonkrong and Dinh Pham Cao. Reducing Battery Consumption of Data Polling and Pushing Techniques on Android using GZip. In Proceedings of the 7th International Conference on Information Technology and Electrical Engineering (ICITEE 2015), Chiangmai, Thailand, 29th – 30th October 2015. Suwimon Vongsingthong, Sirapat Boonkrong, Mario Kubek and Herwig Unger. On Distributions of User Behaviours in Complex Online Social Network. Recent Advances in Information and Communication Technology 2015, pp. 237 – 246, Springer, Bangkok, Thailand, 2nd – 3rd July 2015. Supakit Mahitthiburin and Sirapat Boonkrong. Improving Security with Two-Factor Authentication using Image. KMUTNB International Journal of Applied Science and Technology, Vol. 8, No. 1, pp. 33 – 43, January – March 2015. Supachai Kanchanapokin and Sirapat Boonkrong. Exploring Bad Behaviors from Email Logs. In Proceedings of the International Conference on Information Science and Applications, Lecture Notes in Electrical Engineering, Kuinam J. Kim (Ed. ), Springer Berlin Heidelberg, pp. 517 – 524, Bangkok, Thailand, February 2015. Authentication. Walailak Journal of Science and Technology, Vol. 12, No. 1, January 2015. Phakpoom Santisarun and Sirapat Boonkrong. Social Network Monitoring Application for Parents with Children under Thirteen. In Proceedings of the 7th International Conference on Knowledge and Smart Technology (KST), IEEE, pp. 75 – 80, Chonburi, Thailand, January 2015. Sirapat Boonkrong. 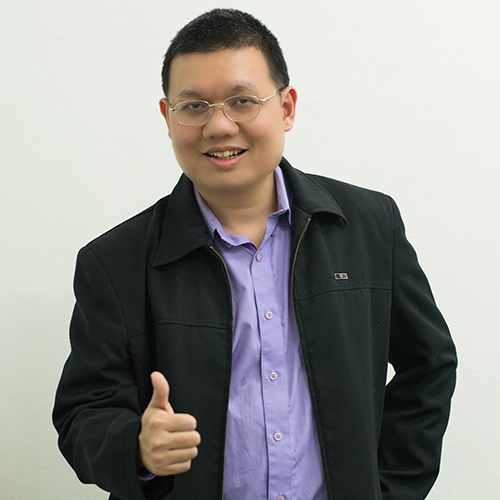 A More Secure and Efficient Andrew Secure RPC Protocol. Security and Communication Networks, John Wiley & Sons, Ltd., John Wiley & Sons, Ltd., Volume 7, Issue 11, pp. 2063 – 2077, November 2014. Sirapat Boonkrong. Multi-Factor Authentication for Internet Banking Login Process. In Proceedings of the 7th Workshop ‘Autonomous System’, Mallorca, Spain, 26th – 30th October 2014. Kittipong Suwannaraj and Sirapat Boonkrong. Efficiency Improvement of Outbound Call Route Selection on IP-PBX Using KNN with USSD. Research Journal of Applied Sciences, Volume 9, Issue 9, pp. 556 – 564, September 2014. Wiman Banditvilai and Sirapat Boonkrong. A Comparison of Efficiency of Data Transfer by Using Rsync, Rsync+SSH and Dropbox. International Journal of Computer Theory and Engineering, Vol. 6, No. 3, June 2014. Dinh Pham Cao and Sirapat Boonkrong. The Comparison of Impacts to Android Phone Battery between Polling Data and Pushing Data. In Proceedings of International Conference on Computer Networks and Information Technology (ICCNIT 2013), Bangkok, Thailand, 29th – 30th June 2013. 9th – 10th May 2013. Sirapat Boonkrong. A Step towards a Solution to Information Privacy Problem on Online Social Networks. GSTF Journal on Computing 01/2013; 2(4):139 – 144. Sirapat Boonkrong. Security of Passwords.Journal of Information Technology, Vol. 8, No. 2, pp. 112 – 117, July – December 2012. Sirapat Boonkrong. Some Remarks on Andrew Secure RPC. In Proceedings of the 10thInternational Conference on Innovative Internet Community Systems, Bangkok, Thailand, 3rd – 5th June 2010. สิทิธา จารุรักษ์ และ ศิรปัฐช์ บุญครอง. ระบบเฝ้าติดตามค้นหาสมาร์ทโฟนภายในอาคาร. วารสารเทคโนโลยีสารสนเทศ, ปีที่ 13, ฉบับที่ 1, หน้าที่ 28 – 33, มกราคม – มิถุนายน 2560. แบงค์กิ้งธนาคารพาณิชย์ไทยสำหรับลูกค้าบุคคล. วารสารวิทยาศาสตร์และเทคโนโลยี มหาวิทยาลัยธรรมศาสตร์, ปีที่ 23, ฉบับที่ 1, หน้าที่ 141 – 158, มกราคม – มีนาคม 2558. โทรศัพท์มือถือแอนดรอยด์. วารสารวิทยาศาสตร์และเทคโนโลยี มหาวิทยาลัยธรรมศาสตร์, ปีที่ 23, ฉบับที่ 1, หน้าที่ 172 – 181, มกราคม – มีนาคม 2558. ณรงค์ฤทธิ์ วังคีรี, ก่อเกียรติ แก้วกิ่ง, ณัฐกานต์ ชุติมารังสรรค์ และ ศิรปัฐช์ บุญครอง.การสำรวจ การป้องกันการโจมตีแบบปฏิเสธการให้บริการแบบกระจายบนสภาพแวดล้อมการประมวลผลแบบคลาวด์. วารสารวิทยาศาสตร์และเทคโนโลยี มหาวิทยาลัยมหาสารคาม, ปีที่ 34, ฉบับที่ 6, หน้าที่ 724 – 730, พฤศจิกายน – ธันวาคม 2557. อัญชณา เหมือนคิด, ธนพล พุกเส็ง, ระดม เจือจันทร์ และ ศิรปัฐช์ บุญครอง.Bitcoin: สกุลเงินของการเข้ารหัสลับที่น่าจับตามอง. วารสารวิทยาศาสตร์และเทคโนโลยี มหาวิทยาลัยมหาสารคาม, ปีที่ 34, ฉบับที่ 6, หน้าที่ 739 – 745, พฤศจิกายน – ธันวาคม 2557. เชาวลิต สมบูรณ์พัฒนากิจ และศิรปัฐช์ บุญครอง.การจัดเก็บรหัสผ่านอย่างปลอดภัยโดยใช้เทคนิคการปรับค่าซอลท์ที่เหมาะสม ร่วมกับแฮชฟังก์ชั่น. การประชุมวิชาการระดับชาติด้านคอมพิวเตอร์และเทคโนโลยีสารสนเทศ ครั้งที่ 10 (NCCIT2014), ภูเก็ต, พฤษภาคม 2557. ประดิษฐ์ พิทักษ์เสถียรกุล และ ศิรปัฐช์ บุญครอง.การศึกษาความสัมพันธ์ของแบนด์วิดท์กับจำนวนโหนดโจมตีแบบ DDoS ด้วย NS2. การประชุมวิชาการระดับชาติด้านคอมพิวเตอร์และเทคโนโลยีสารสนเทศ ครั้งที่ 10 (NCCIT2014), ภูเก็ต, พฤษภาคม 2557. ชุติมา อำไพรัตน์ และศิรปัฐช์ บุญครอง.การป้องกันการโจมตี SQL injection โดยการเข้ารหัสแบบสมมาตรสำหรับระบบอินทราเน็ต. การประชุมวิชาการระดับชาติด้านคอมพิวเตอร์และเทคโนโลยีสารสนเทศ ครั้งที่ 10 (NCCIT2014), ภูเก็ต, พฤษภาคม 2557. แบบกวาด ที่มีต่อเครือข่ายไร้สายแบบ Ad Hoc. การประชุมวิชาการระดับชาติด้านคอมพิวเตอร์และเทคโนโลยีสารสนเทศ ครั้งที่ 10 (NCCIT2014), ภูเก็ต, พฤษภาคม 2557. ค่าแฮชของ MAC Address Gateway. การประชุมวิชาการระดับชาติด้านคอมพิวเตอร์และเทคโนโลยีสารสนเทศ ครั้งที่ 10 (NCCIT2014), ภูเก็ต, พฤษภาคม 2557. กฤดา จรัสศรีสกุล และศิรปัฐช์ บุญครอง.การเปรียบเทียบประสิทธิภาพการทำงานฟังก์ชั่นแฮชระหว่าง Web Application และ Windows Application ของ .Net. การประชุมวิชาการระดับชาติด้านคอมพิวเตอร์และเทคโนโลยีสารสนเทศ ครั้งที่ 9 (NCCIT2013), กรุงเทพฯ, พฤษภาคม 2556. อิฐอารัญ ปิติมล, ศิรปัฐช์ บุญครอง และนวพร วิสิฐพงศ์พันธ์.เทคนิคการตรวจสอบเกตเวย์โดยตรงบนเครือข่ายของไอพีรุ่นที่ 6. การประชุมวิชาการระดับชาติด้านคอมพิวเตอร์และเทคโนโลยีสารสนเทศ ครั้งที่ 9 (NCCIT2013), กรุงเทพฯ, พฤษภาคม 2556. นิพนธ์ คชชะ และศิรปัฐช์ บุญครอง.การตรวจหาการโจมตีแบบ DoS ร่วมกับฮันนี่พอทบนเครือข่าย. การประชุมวิชาการระดับชาติด้านคอมพิวเตอร์และเทคโนโลยีสารสนเทศ ครั้งที่ 9 (NCCIT2013), กรุงเทพฯ, พฤษภาคม 2556. พิกุลทอง แก้วดวงตา และศิรปัฐช์ บุญครอง.การวัดประสิทธิภาพของการรักษาความมั่นคงบนเครือข่ายท้องถิ่นไร้สายด้วย BackTrack. การประชุมวิชาการระดับชาติด้านคอมพิวเตอร์และเทคโนโลยีสารสนเทศ ครั้งที่ 9 (NCCIT2013), กรุงเทพฯ, พฤษภาคม 2556. พงษ์ทิพย์ นาคประสบสุข และศิรปัฐช์ บุญครอง.ระบบตรวจจับผู้บุกรุกก่อนเกิดการโจมตีบนเครือข่ายไร้สาย. การประชุมวิชาการระดับชาติด้านคอมพิวเตอร์และเทคโนโลยีสารสนเทศ ครั้งที่ 9 (NCCIT2013), กรุงเทพฯ, พฤษภาคม 2556. สมศักดิ์ พึ่งธรรม และ ศิรปัฐช์ บุญครอง.การเปรียบเทียบประสิทธิภาพการทำงานของ VPN กรณีศึกษา: บริษัท โกลเด้นดั๊ก อินเตอร์เนชั่นแนล จำกัด. การประชุมวิชาการระดับชาติด้านคอมพิวเตอร์และเทคโนโลยีสารสนเทศ ครั้งที่ 9 (NCCIT2013), กรุงเทพฯ, พฤษภาคม 2556. สารสนเทศ ครั้งที่ 9 (NCCIT2013), กรุงเทพฯ, พฤษภาคม 2556. สุทธิวรรณ นาคขวัญ และศิรปัฐช์ บุญครอง.การเปรียบเทียบคุณลักษณะของไฟล์เสียง เมื่ออำพรางข้อมูลลงไฟล์เสียงประเภทต่าง ๆ. การประชุมวิชาการระดับชาติด้านคอมพิวเตอร์และเทคโนโลยีสารสนเทศ ครั้งที่ 8 (NCCIT2012), ชลบุรี, พฤษภาคม 2555. ณัธพล อัศวพิพัฒน์กุล, เกียรติศักดิ์ โยชะนัง และศิรปัฐช์ บุญครอง.การยืนยันตัวตนด้วยรหัสผ่านแบบครั้งเดียวโดยใช้การแก้ปัญหาของ ตัวเลขแบบสุ่มและการคำนวณอย่างง่าย.การประชุมวิชาการระดับชาติด้านคอมพิวเตอร์และเทคโนโลยีสารสนเทศ ครั้งที่ 8 (NCCIT2012), ชลบุรี, พฤษภาคม 2555. รัตติยา ไผ่สุวัฒน์, ศิรปัฐช์ บุญครอง และทิพยา จินตโกวิท.ระบบการเข้ารหัสลับข้อมูลวีดีโอ. การประชุมวิชาการระดับชาติด้านคอมพิวเตอร์และเทคโนโลยีสารสนเทศ ครั้งที่ 8 (NCCIT2012), ชลบุรี, พฤษภาคม 2555. 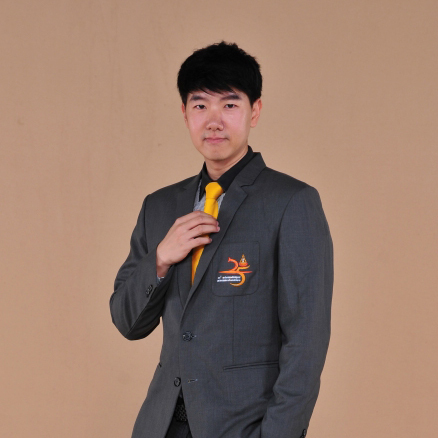 กิตติเทพ โกวิโท และศิรปัฐช์ บุญครอง.การเปรียบประสิทธิภาพการสื่อสารไร้สายบนมาตรฐาน 802.11n โดยใช้ WPA2. การประชุมวิชาการระดับชาติด้านคอมพิวเตอร์และเทคโนโลยีสารสนเทศ ครั้งที่ 8 (NCCIT2012), ชลบุรี, พฤษภาคม 2555. สุภาพ หมายพงศ์พัฒนา และศิรปัฐช์ บุญครอง.การเปรียบเทียบประสิทธิภาพโปรโตคอลค้นหาเส้นทางสำหรับเครือข่าย เคลื่อนที่เฉพาะกิจระหว่างกลุ่มที่ทำงานด้วยตาราง (table-driven) และ กลุ่มที่ทำงานเมื่อมีการร้องขอ (on-demand). การประชุมวิชาการระดับชาติด้านคอมพิวเตอร์และเทคโนโลยีสารสนเทศ ครั้งที่ 8 (NCCIT2012), ชลบุรี, พฤษภาคม 2555. ไฟฟ้านครหลวงเขตวัดเลียบ. การประชุมวิชาการระดับชาติด้านคอมพิวเตอร์และเทคโนโลยีสารสนเทศ ครั้งที่ 7 (NCCIT2011), กรุงเทพฯ, พฤษภาคม 2554. ชาญยุทธ สุขวรรณ์, ศิรปัฐช์ บุญครอง และเกียรติศักคิ์ โยชะนัง.การอำพรางข้อมูลผ่านการให้บริการข้อความสั้นโดยใช้วิธีการเปลี่ยนการสะกดคำภาษาไทย. การประชุมวิชาการระดับชาติด้านคอมพิวเตอร์และเทคโนโลยีสารสนเทศ ครั้งที่ 7 (NCCIT2011), กรุงเทพฯ, พฤษภาคม 2554. Sirapat Boonkrong. The Quest for Security on Online Social Networks. In Proceedings of National Conference on Computer Information Technologies (CIT2011), Mahidol University, 26th – 28th January 2011. - S. Niwattanakul, M. Eboueya & Ph. Martin. DOCINER: A Document Indexation Tool for Learning Object. In Proc. of the 5th International Joint Conference on INC, IMS and IDC (NCM2009). 25-27 August 2009. Seoul, Korea. - S. Niwattanakul, Ph. Martin, M. Eboueya and K. Khaimook. Learning Object Mediation System based on an Ontology Model. In Proc. of the Fourth International Conference on eLearning for Knowledge-Based Society (eLearningAP 2007). 18-19 November 2007. Bangkok, Thailand. - S. Niwattanakul, M. Eboueya and D. Lillis. Research and Description of Learning Resources on Ontology Model. In Proc. of the First International Conference on Knowledge, Information, and Creativity Support Systems (KICSS2006). 1-4 August 2006, P.357-364, Ayutthaya, Thailand. หนึ่งหทัย ขอผลกลาง. (2558). แนวทางการส่งเสริมศักยภาพของสื่อท้องถิ่นเพื่อการสื่อสารในภาคตะวันอกเฉียงเหนือ.วารสารเทคโนโลยีสุรนารี ฉบับสังคมศาสตร์ 9 (2). 61 – 78. Ekkachai Naenudorn, JatsadaSingthongchai, Narodom Kittidachanupap, Neunghathai Khopolklang and Suphakit Niwattanakul. (2012), Development of Animated Virtual Reality Website for Tourism Attraction. The 2012 International Conference on System Engineering and Modeling (ICSEM 2012), Kuala Lumpur, Malaysia, 7-8 April 2012. pp.72 - 77. Jatsada Singthongchai, Ekkachai Naenudorn, Narodom Kittidachanupap, Neunghathai Khopolklang and Suphakit Niwattanakul. (2012). Virtual 3-D Animation for Tourism. The 2012 IEEE International Conference on Computer Science and Automation Engineering (CSAE 2012), Zhangjiajie, China, 25 - 27 May 2012. Narodom Kittidachanupap, Jatsada Singthongchai, Ekkachai Naenudorn, Neunghathai Khopolklang and Suphakit Niwattanakul. (2012). Development of Animation Media for Learning English Vocabulary for Children. The 2012 IEEE International Conference on Computer Science and Automation Engineering (CSAE 2012), Zhangjiajie, China, 25 - 27 May 2012. หนึ่งหทัย ขอผลกลาง และคณะ. (2555). ปัจจัยด้านสถานการณ์และแนวโน้มที่ส่งผลต่อการพัฒนาหลักสูตรวิทยาการสารสนเทศบัณฑิต มหาวิทยาลัยเทคโนโลยีสุรนารี. การประชุมทางวิชาการการวิจัยทางการศึกษาระดับชาติ ครั้งที่ 14 “วิจัยทางการศึกษา พลังพัฒนาประเทศอย่างยั่งยืน”. แอมบาสซาเดอร์ สุขุมวิท กรุงเทพฯ. 1 – 2 มิถุนายน 2555. Neunghathai Khopolklang. (2012). 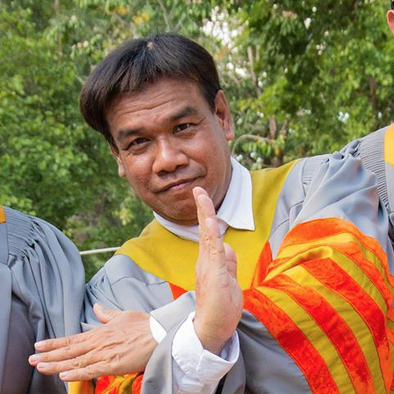 The changing roles of Thai university education : Future change to ASEAN community. International Counseling and Education Conference 2012 (ICEC 2012). Golden Age Hotel Taksim. Istanbul, Turkey. 3 – 5 May 2012. Neunghathai Khopolklang. (2012). Development of Animated Virtual Reality Website for Tourism Attraction. 2012 International Conference on system Engineering and Modeling (ICSEM 2012). Kuala Lumpur, Malaysia. 7 – 8 April 2012. หนึ่งหทัย ขอผลกลาง. (2554). วิถีเพลงโคราช : มิติและพลวัตรของความเปลี่ยนแปลง. การประชุมวิชาการและเสนอผลงานวิจัย/สร้างสรรค์ ศิลปากรวิจัย ครั้งที่ 4 บูรณาการศาสตร์และศิลป์ คือ ศิลปากร. มหาวิทยาลัยศิลปากร วิทยาเขตพระราชวังสนามจันทร์ นครปฐม. วันที่ 19 – 21 มกราคม 2554. หนึ่งหทัย ขอผลกลาง วีรพงษ์ พลนิกรกิจ และนิศาชล จำนงศรี. (2554). มองผู้หญิงกับสื่อใหม่ในสังคมไทย ผ่านงานวิจัยแนวสตรีนิยมไซเบอร์. วารสารเทคโนโลยีสุรนารี ฉบับสังคมศาสตร์ 5 (2). 149 – 158. หนึ่งหทัย ขอผลกลาง. (2554).พัฒนาการและแนวโน้มของการวิจัยด้านการสื่อสารสุขภาพ. วารสารวิชาการ คณะนิเทศศาสตร์ มหาวิทยาลัยรังสิต. 15(1): 27 – 44. Neunghathai Khopolklang. (2011). Mother must fight: Strategies to overcome domestic violence in Thai society. Mothers at the Margin Sixth International Conference on Motherhood. University of Queensland Brisbane. Australia. 27 – 30 April 2011. Neunghathai Khopolklang. (2011). 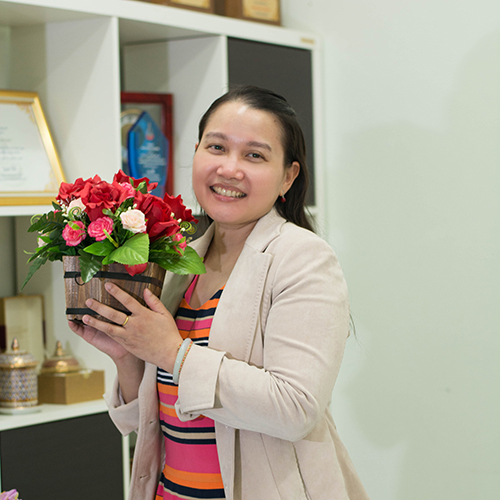 Stay Strong Despite the Obstacles: Lesson learned by a Teen Mother in Thailand. International Conference on Mothering, Education and Maternal Pedagogies featuring an embedded conference on Motherhood Studies: Developing and Disseminating a New Academic Discipline for a New Century. Pantages Hotel Toronto. Canada. 20 – 22 October 2011. Neunghathai Khopolklang. (2011). LBGT Social Networking Sites in Thailand : Power beyond frontier. The Second Asian Conference on Media & Mass Communication 2011 The International. The Ramada Osaka. Osaka. Japan. 4 – 6 November 2011. Neunghathai Khopolklang, Roongkan Musakophas and Weerapong Polnigongit. (2011). The Power of Online Social Networks for Management of Natural Disaster crises in Developing Countries. Presentation at the 10th Annual Worldwide Forum on Education and Culture. Rome. Italy. 30 November to 2 December 2011. จันทรวรรณ ศรีสุวรรณ วีรพงษ์ พลนิกรกิจ และหนึ่งหทัย ขอผลกลาง. (2554). ปัจจัยที่ส่งผลต่อความสามารถในการใช้งานไอคอนบนหน้าจอโทรศัพท์มือถือ. วารสารเทคโนโลยีสุรนารี ฉบับสังคมศาสตร์ 5 (2). ทางการเรียนรู้กับเว็บล็อกภายใต้กรอบการเรียนรู้อิเล็กทรอนิกส์. วารสารเทคโนโลยีสุรนารี ฉบับสังคมศาสตร์ 4 (1): 79 – 93. หนึ่งหทัย ขอผลกลาง และกิตติ กันภัย. (2553). การสื่อสารสุขภาพ: กลไกในการพัฒนาสังคม. วารสารเทคโนโลยีสุรนารี ฉบับสังคมศาสตร์ 4 (1): 65 – 77. หนึ่งหทัย ขอผลกลาง. (2552). ความสำคัญของการศึกษากระบวนทัศน์ด้านการสื่อสารสุขภาพของไทย. วารสารนิเทศศาสตร์ คณะนิเทศศาสตร์ จุฬาลงกรณ์มหาวิทยาลัย 27 (2): 30 – 45. Neunghathai Khopolklang. (2009). Build The Wise Man To Be A Human Being. UNIVERSITY-COMMUNITY ENGAGEMENT CONFERENCE 2009: Division of Industry & Community Network (BJIM), Universiti Sains Malaysia, Penang, Malaysia, 23rd-26thNovember 2009. หนึ่งหทัย ขอผลกลาง. (2552). อิทธิพลของชุมชนอินเทอร์เน็ตที่มีต่อพฤติกรรมรักร่วมเพศของเด็กและเยาวชนไทย. นำเสนอในการประชุมวิชาการระดับชาติ 70 ปี คณะศิลปศาสตร์ มหาวิทยาลัยแม่โจ้. วันที่ 24 – 25 กรกฎาคม 2552. หนึ่งหทัย ขอผลกลาง. (2551). มิติทางสังคม วัฒนธรรม และการสื่อสารที่มีผลต่อการรับรู้เรื่องโรคเอดส์ของ เยาวชนไทยในภาคตะวันออกเฉียงเหนือ.วารสารวิทยาการจัดการ มหาวิทยาลัยราชภัฏเชียงราย 3 (2): 79 – 96. หนึ่งหทัย ขอผลกลาง. (2550). ปัจจัยแห่งการดำรงอยู่หรือล่มสลายของครอบครัว. วารสารเทคโนโลยีสุรนารี ฉบับสังคมศาสตร์ 1 (2): 45 – 54. หนึ่งหทัย ขอผลกลาง. (2550). องค์ความรู้ด้านการศึกษาและหนังสือด้านนิเทศศาสตร์ของไทย (25 หน้า). ศูนย์ศึกษาวิจัยสื่อสารมวลชนอาเซียน คณะนิเทศศาสตร์ มหาวิทยาลัยหอการค้าไทย [On - line]. Available://utcc HYPERLINK "http://utcc2.utcc.ac.th/localuser/amsar/PDF"2. HYPERLINK "http://utcc2.utcc.ac.th/localuser/amsar/PDF"utcc.ac.th/localuser/amsar/PDF/Documents49/ bookscomm.pdf. หนึ่งหทัย ขอผลกลาง และอุบลวรรณ เปรมศรีรัตน์. (2549). องค์ความรู้ด้านการศึกษาและหนังสือด้านนิเทศศาสตร์ของไทย. วารสารนิเทศศาสตร์ คณะนิเทศศาสตร์ จุฬาลงกรณ์มหาวิทยาลัย 24 (1): 1 – 18. หนึ่งหทัย ขอผลกลาง. (2548). ทัศนะของเด็กและเยาวชนในจังหวัดนครราชสีมาที่มีต่อรายการโทรทัศน์ที่พึง ประสงค์. วารสารนิเทศศาสตร์ธุรกิจบัณฑิต 3 (3) : 37 – 56. หนึ่งหทัย ขอผลกลาง. (2547). A Study of Present Status of Communication Arts Curricula in Thailand. การประชุมระดับนานาชาติ (International Conference 2004) เรื่อง Revisiting Globalization in the 2000s. คณะนิเทศศาสตร์ จุฬาลงกรณ์มหาวิทยาลัย. อาคารมหาจุฬาลงกรณ์ จุฬาลงกรณ์มหาวิทยาลัย. วันที่ 5 – 6 สิงหาคม 2547. วีรพงษ์ พลนิกรกิจ และหนึ่งหทัย ขอผลกลาง. (2545). 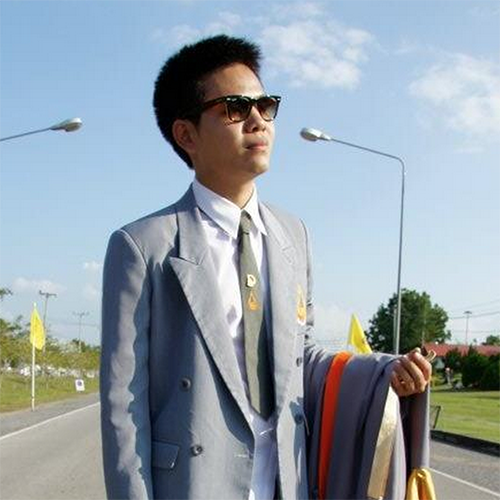 ปัจจัยที่มีอิทธิพลต่อบทบาทและหน้าที่ของนักจัดรายการวิทยุในจังหวัดนครราชสีมา.วารสารนิเทศศาสตร์ คณะนิเทศศาสตร์ จุฬาลงกรณ์มหาวิทยาลัย 20 (1): 1 – 13. - Operating System and Parallel Computing classes. Nassarun Binron and Thara Angskun, Time and Attendance System using Smartphone, The 5th Conference on Application Research and Development (ECTI-CARD 2013), Nakornratchasima, Thailand, May 8-10, 2013, pp. 441-446. Duangthida Rotkanok, Thara Angskun and Jitimon Angkun, A Decision Support System for Reducing Transport Period of Wood Chips, International Journal of Innovation, Management and Technology, Vol. 4(1), 2013, pp. 112-116. Phichayasini Kitwatthanathawon, Thara Angskun and Jitimon Angkun, A Knowledge Extraction System from Online Reviews using Fuzzy Logic, The 9th International Joint Conference on Computer and Software Engineering (JCSSE), University of the Thai Chamber of Commerce, Bangkok, Thailand, 2012, pp. 190-197. 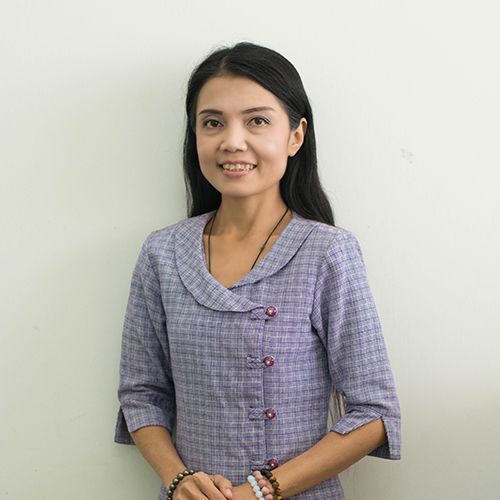 Somjin Phiakoksong and Thara Angskun, Good Teaching Characteristics of Suranaree University of Technology: Perspective of Teacher and Learner, Suranaree Journal of Social Science, Vol. 5(2), 2011, pp. 109-130. Thara Angskun, Graham E. Fagg, George Bosilca, Jelena Pjesivac-Grbovic and Jack Dongarra, 'Self-Healing Network for Scalable Fault-Tolerant Runtime Environments', 'Future Generation Computer Systems (FGCS)', Volume 26, No. 3, pp. 479-485, 2010. Wipawan Punsang, Jitimon Angskun and Thara Angskun, Routing Algorithm for Reducing Running on Empty Truck, The 6th National Transport Conference, Pitsanulok, Thailand, October 28-30, 2009. Somjin Piakoksung, Piyarat Ngamsanit, Pitchayasini Kijwatanataworn, Thara Angskun, Jitimon Angskun, `Intelligent Trip Planning System for Energy Saving', Proceeding of the First Conference on Application Research and Development (ECTI-CARD 2009), Bangkok, Thailand, May, 2009, pp. 67-72. Jitimon Angskun and Thara Angskun, ‘Online Trip Planners for the Tourism Industry’, Suranaree Journal of Social Science, Volume 2, No. 1, pp. 33-45, 2008. Thara Angskun, George Bosilca, Brad Vander Zanden and Jack Dongarra, 'Optimal Routing in Binomial Graph Networks', 'The International Conference on Parallel and Distributed Computing, Applications and Technologies (PDCAT)', Adelaide, Australia, Dec, 2007. Thara Angskun, George Bosilca and Jack Dongarra, 'Self-Healing in Binomial Graph Networks', '2nd International Workshop On Reliability in Decentralized Distributed Systems(RDDS 2007)', Vilamoura, Algarve, Portugal, Nov, 2007. Thara Angskun, George Bosilca and Jack Dongarra, 'Binomial Graph: A Scalable and Fault-Tolerant Logical Network Topology', ISPA07, LNCS 4742, pp. 471-482, Springer. Jelena Pjesivac-Grbovic, George Bosilca, Graham E. Fagg, Thara Angskun and Jack J. Dongarra, 'Decision Trees and MPI Collective Algorithm Selection Problem', 'Euro-Par', Rennes, France, Aug, 2007, Springer. Thara Angskun, George Bosilca, Graham E. Fagg, Jelena Pjesivac-Grbovic and Jack Dongarra, 'Reliability Analysis of Self-Healing Network using Discrete-Event Simulation','Proceedings of Seventh IEEE International Symposium on Cluster Computing and the Grid (CCGrid '07)', Rio de Janeiro, Brazil, pp. 437-444, May, 2007, IEEE Computer Society. Jelena Pjesivac-Grbovic, George Bosilca, Graham E. Fagg, Thara Angskun and Jack J. Dongarra, 'MPI Collective Algorithm Selection and Quadtree Encoding', 'Parallel Computing Journal', 'Special Edition: EuroPVM/MPI', 2007, Elsevier. Jelena Pjesivac-Grbovic, Thara Angskun, George Bosilca, Graham E. Fagg, Edgar Gabriel and Jack J. Dongarra, 'Performance Analysis of MPI Collective Operations', 'Cluster Computing Journal', 'Special issue on Performance modeling and evaluation of parallel and distributed systems', Volume 10, No. 2, pp. 127-143, Springer 2007. Thara Angskun, Graham E. Fagg, George Bosilca, Jelena Pjesivac-Grbovic and Jack Dongarra, 'Self-Healing Network for Scalable Fault Tolerant Runtime Environments', 'DAPSYS 2006', Innsbruck, Austria, Sep 21-23, 2006. Graham E. Fagg, George Bosilca, Jelena Pjesivac-Grbovic, Thara Angskun, Jack Dongarra, 'Tuned: A flexible high performance collective communication component developed for Open MPI', 'DAPSYS 2006', Innsbruck, Austria, Sep 21-23, 2006. Thara Angskun, Graham E. Fagg, George Bosilca, Jelena Pjesivac-Grbovic and Jack Dongarra, 'Scalable Fault Tolerant Protocol for Parallel Runtime Environments', '13th European PVMMPI Users' Group Meeting 2006', Bonn, Germany, Sep 17-20, pp. 141-149, 2006. Jelena Pjesivac-Grbovic ,Thara Angskun, George Bosilca, Graham E. Fagg, and Jack J. Dongarra, 'MPI Collective Algorithm Selection and Quadtree Encoding', '13th European PVMMPI Users' Group Meeting 2006', Bonn, Germany, Sep 17-20, 2006. Graham E. Fagg, Thara Angskun, George Bosilca, Jelena Pjesivac-Grbovic, and Jack J. Dongarra, 'Scalable Fault Tolerant MPI: Extending the Recovery Algorithm', 'Euro PVM/MPI 2005', Sorrento(Naples), Italy, September 18-21, 2005. Zizhong Chen, Graham E. Fagg, Edgar Gabriel, Julien Langou, Thara Angskun, George Bosilca, Jack J. Dongarra, 'Fault Survivable High Performance Computing Applications with FT-MPI', 'PoPP 2005', Chicago, Illinois, June 15-17, 2005. Jelena Pjesivac-Grbovic, Thara Angskun, George Bosilca, Graham E. Fagg, Edgar Gabriel, Jack J. Dongarra, 'Performance Analysis of MPI Collective Operations', '4th International Workshop on Performance Modeling, Evaluation, and Optimization of Parallel and Distributed Systems (PMEO-PDS 05)', Denver, Colorado, April 4-8, 2005. Jelena Pjesivac-Grbovic, Thara Angskun, George Bosilca, Graham E. Fagg, Edgar Gabriel, Jack J. Dongarra, 'MPI Collective Operation Performance Analysis', 'poster presentation at the LACSI Symposium 2004', October 12-14, Santa Fe, New Mexico, USA, 2004. Edgar Gabriel, Graham E. Fagg, George Bosilca, Thara Angskun, Jack J. Dongarra, Jeffrey M. Squyres, Vishal Sahay, Prabhanjan Kambadur, Brian Barett, Andrew Lumsdain, Ralph H. Castain, David J. Daniel, Richard L. Graham, Timothy S. Woodall, 'Open MPI: Goals, Concept, and Design of a Next Generation MPI Implemention', 'the EuroPVM/MPI conference', Budapest, Hungary, Sept. 19-22, 2004. Timothy S. Woodall, Richar L. Graham, Ralph H. Castain, David J. Daniel, Mitch W. Sukalski, Graham E. Fagg, Edgar Gabriel, George Bosilca, Thara Angskun, Jack J. Dongarra, Jeffrey M. Squyres, Vishal Sahay, Prabhanjan Kambadur, Brian Barett, Andrew Lumsdain, 'TEG: A High-Performance, Scalable,Multi-Network Point-to-Point Communications Methodology', 'the EuroPVM/MPI conference', Budapest, Hungary, Sept. 19-22, 2004. Timothy S. Woodall, Richar L. Graham, Ralph H. Castain, David J. Daniel, Mitch W. Sukalski, Graham E. Fagg, Edgar Gabriel, George Bosilca, Thara Angskun, Jack J. Dongarra, Jeffrey M. Squyres, Vishal Sahay, Prabhanjan Kambadur, Brian Barett, Andrew Lumsdain, 'Open MPI's TEG Point-to-Point Communications Methodology: Comparison to Exisiting Implementations', 'the EuroPVM/MPI conference', Budapest, Hungary, Sept. 19-22, 2004. Graham E. Fagg, Edgar Gabriel, Zizhong Chen, Thara Angskun, George Bosilca, Antonin Bukovsky, Jack J. Dongarra, 'Fault Tolerant Communication Library and Applications for High Performance Computing', accepted for publication LACSI Symposium 2003, Santa Fe, October 27 - 29, 2003. Edgar Gabriel, Graham E. Fagg, Antonin Bokovsky, Thara Angskun, Jack J. Dongarra, 'A Fault-Tolerant Communication Library for Grid Environments', '17th Annual ACM International Conference on Supercomputing (ICS'03)', International Workshop on Grid Computing and e-Science, San Francisco, USA, June 21, 2003. Theewara Vorakosit, Thara Angskun, Putchong Uthayopas, 'Efficient Method and Tool for Building A Scalable Diskless Linux Cluster', 'International Symposium on Communications and Information Technology (ISCIT 2002)', Pattaya, Chonburi, Thailand, October 23-25, 2002. Putchong Uthayopas, Thara Angskun, Jullawadee Maneesilp, 'On the Building of the Next Generation Integrated Environment for Beowulf Cluster', 'Proceedings of the I-SPAN’02', Manila, Philippines, May 2002. Thara Angskun, Putchong Uthayopas, Arnon Rungsawang,'Dynamic Process Management in KSIX Cluster Middleware', 'Proceedings of Euro PVM/MPI 2001', Santorini (Thera) Island, Greece,Sep 23-26,2001. Putchong Uthayopas, Sugree Phatanapherom, Thara Angskun, Somsak Sriprayoonsakul, 'SCE : A Fully Integrated Software Tool for Beowulf Cluster System', 'Proceedings of Linux Clusters: the HPC Revolution, National Center for Supercomputing Applications(NCSA)', University of Illinois, Urbana, IL,June 25-27, 2001. Thara Angskun, Putchong Uthayopas, Choopan Ratanpocha, 'KSIX parallel programming environment for Beowulf Cluster, Technical Session Cluster Computing Technologies, Environments and Applications ( CC-TEA )', 'International Conference on Parallel and Distributed Proceeding Techniques and Applications 2000 (PDPTA’2000)', Las Vegas, Nevada , USA , June 2000. Putchong Uthayopas, Thara Angsakul, Jullawadee Maneesilp,'System Management Framework and Tools for Beowulf Cluster', 'Proceedings of HPCAsia2000', Beijing, May 2000. Thara Angskun, Jullawadee Maneesilp, Putchong Uthayopas, 'Basic support System for Distributed Applications on SMILE Beowulf Cluster', 'Proceedings of The Third Annual National Symposium on Computational Science and Engineering', Bangkok, Thailand, March 1999. Flash, Dreamweaver, business applications, building e-commerce site, etc. 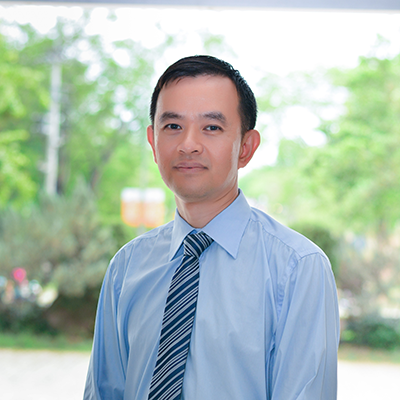 2003-present School of Information Technology, Suranaree University of Technology, Nakhon Ratchasima, Assistant Professor, give lecture, conduct research, and take responsibilities on assigned academic and administration duties. 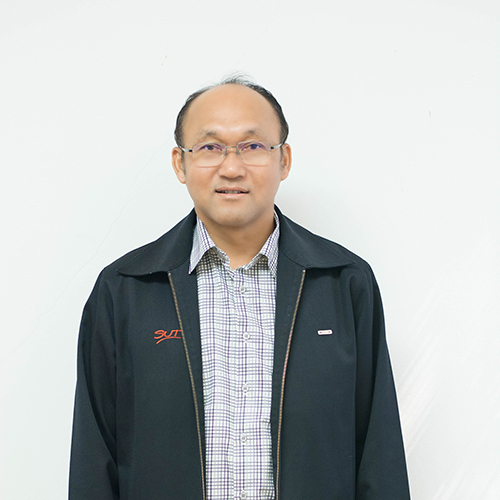 2011-2015 Suranaree University of Technology, Assistant Rector for Planning Affairs, plan and manage information and communication technology services of the university, as well as outline the university strategies. 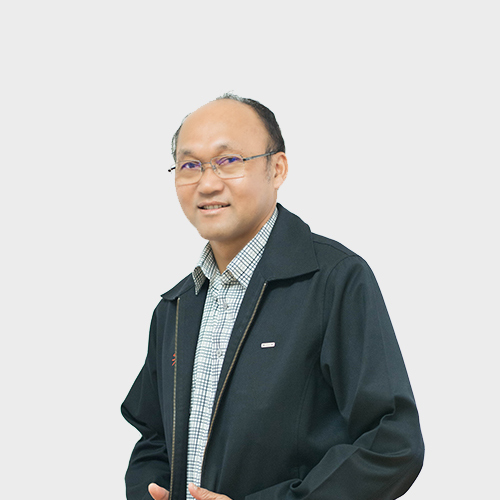 2001 Accenture Co., Ltd., Bangkok, Developer, in charge of developing the training administration system for the Ministry of Education, Singapore. 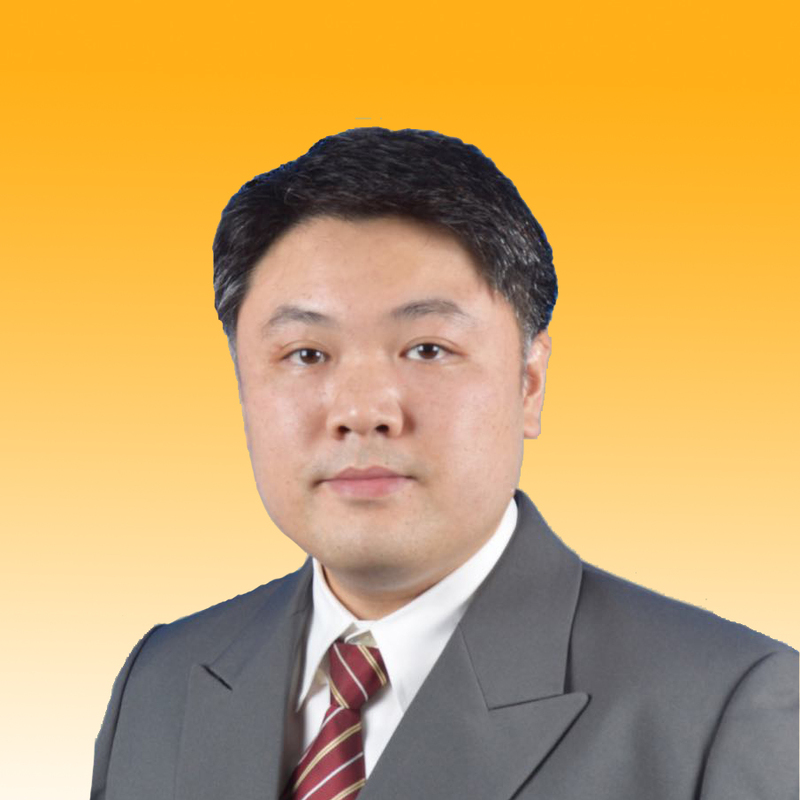 1999-2001 TSS Machinery Co., Ltd., Bangkok, General Manager, manage a business in heavy machine repair. 2011-present Industrial Technology Assistance Program (iTAP), National Science and Technology Development Agency (NSDTA) and Suranaree University of Technology, Information and Communication Technology Consultant, provide strategic and operational consultation for program participants. 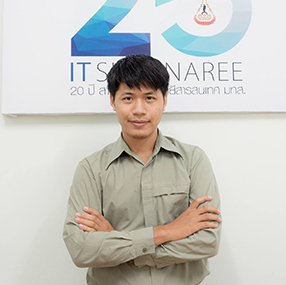 2011 School of Information Technology, Suranaree University of Technology, Nakhon Ratchasima, Chairman of the Committee of ICT Master plan. 2014 National Synchrotron Research Center, Consultant for ICT Master Plan. conducting research on hard disk drive improvement. 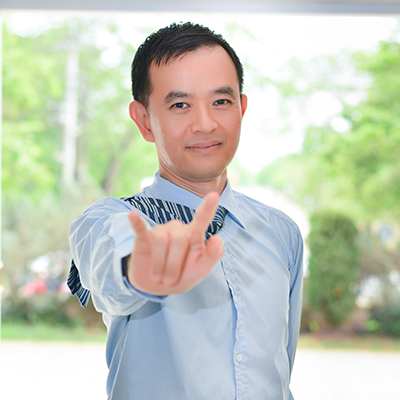 responsible for greeting visitors and presenting the Internet technology. 2011 Distinguished Paper Award Phosaard, S., P. Rattanawicha, and W. Chantatub. 2009 Best Paper Award Thianniwet, T., S. Phosaard, and W. Pattara-Atikom. and Sliding Windows. in World Congress on Engineering 2009 (WCE2009). 2009. London, UK: IAENG. Academy of Business, 19(1), 250. 2013. Cambridge. X3DOM virtual reality book store. Web3D 2012: 183, Los Angeles, CA. Education 2011 (pp. 832-839). 2011. Chesapeake, VA: AACE. for High School Teaching and Empirical Usability Analysis. In D. Gibson & B.
Computing Technology, S.-I.A.a.L. Gelman, Editor. 2010, Springer. p. 261-271. S.-I. Ao and L. Gelman, Editors. 2010, Springer. p. 237-248. IV2010). 2010. Bangkok, Thailand: Chulalongkorn University. Technology & Teacher Education International Conference 2010 (SITE2010). 2010. Engineering (JCSSE2009). 2009. Phuket, Thailand. Social Science, 2009. 2(2): p. 19-36. Journal of Social Science, 2009. 3(1): p. 67-83. Congress on Engineering (WCE 2008), 2008. London, UK: IAENG. Congress on Engineering (WCE2007). 2007. London, UK: IAENG. Sutheerawattananonda, M., et al., The Development of Food Safety Software Prototype. Suranaree Journal of Science and Technology, 2006. 13(1): p. 101-111.
of Higher Education Commission: Nakhon Ratchasima. p. 111. Singthongchai, Jatsada; Niwattanakul, Suphakit and Chamnongsri, Nisachol. (2016). Semantic Term Weighting Method by Using Correlation Coefficient. Information. 19(1): 91106. Tangsupachai, Noopol; Niwatthanakul, Suphakit; Chamnongsri, Nisachol. (2015). Mapping Learning Object Resource Metadata for Retrieval via Linked Open Data. Information. 18(12): 51295142. กันตภณ แก้วสง่า และนิศาชล จำนงศรี. (2558). การจัดการความรู้การท่องเที่ยวเชิงสร้างสรรค์ในแหล่งท่องเที่ยวทางวัฒนธรรม อำเภอพิมาย จังหวัดนครราชสีมา. วารสารเทคโนโลยีสุรนารี. 9(2): 79103. Conference (ICSEC). July 30 – August 1, 2014. Hotell Pullman khon Kaen Raja Orchid, Khon Kaen. Khopolklang, N.; Polnigongit, W.; Chamnongsri, N. (2014). 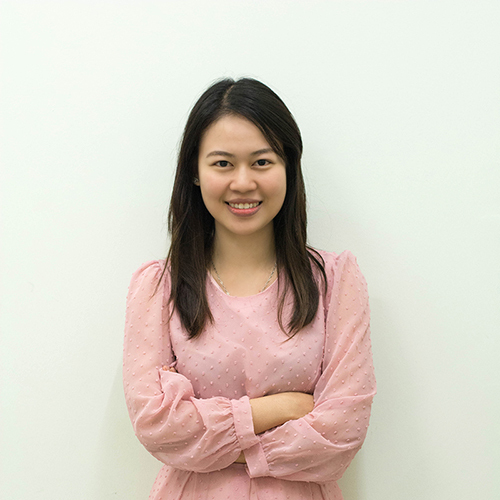 Influence of the Thai mass media on violence against women: Synthesis of research studies. Kasetsart Journal Social Sciences. 35(1):167176. Chamnongsir, N. (2014). Improving Performance of Decision Trees for Recommendation Systems by Features Grouping Method. Recent Advances in Information and Communication Technology Advances in Intelligent Systems and Computing. (Volume 265, 2014): 223232. Wanapu, S., Fung, C. C., Kajornrit, J., Niwattanakul, S., Chamnongsri, N. (2014). Selecting Feature Grouping and Decision Tree to Improve Results from the Learning Object Management Model (LOMM). JCIT: Journal of Convergence Information Technology. 9(3): 131142. Wanapu, S., Fung, C. C., Kajornrit, J., Niwattanakul, S., Chamnongsri, N. (2014). An investigation on the correlation of learner styles and learning objects characteristics in a proposed Learning Objects management Model (LOMM). Education and Information Technologies December 2014. Kunprajhuab, Kanitta and Chamnongsri, nisachol. (2014). The Development of a dietary supplement product Ontology. International Conference on Business, Science and Technology (iCBST 2014). April 2526, 2014, Hatyai, Thailand. วิศปัตย์ ชัยช่วย, ลำปาง แม่นมาตย์, วิลาศ วูวงศ์, นิศาชล จำนงศรี (2557) พฤติกรรมสารสนเทศของผู้ใช้งานจารึก ดำรงวิชาการ. 13(1): 2557. หนึ่งหทัย ขอผลกลาง, วีรพงษ์ พลนิกรกิจ,นิศาชล จำนงศรี. (2554). มองผู้หญิงกับสื่อใหม่ในสังคมไทย ผ่านงานวิจัยแนวสตรีนิยมไซเบอร์. วารสารเทคโนโลยีสุรนารี 5(2): 149158. Manmart, Lampang; Chamnongsri, Nisachol; Wuwongse, Vilas; Sugimoto, Shigeo. 2012. Metadata development for palm leaf manuscript management in Thailand. Proceeding of International Conference on Dublin Core and Metadata Application 2012. Kuching, Sarawak, Malaysia p.95105. Witsapat Chaichuay, Lampang ManMart, Vilas Wuwongse, Nisachol Chamnongsri (2012). Conceptual framework of Metadata Schema development for a digitized Inscriptions Collection Management. DCMI International Conference on Dublin Core and Metadata Applications. September 37, 2012. P. 116118. ภัยมณี แก้วสง่า และ นิศาชล จำนงศรี. (2555). Creative Tourism: A New Choice of Thai Tourism การท่องเที่ยวเชิงสร้างสรรค์ : ทางเลือกใหม่ของการท่องเที่ยวไทย. วารสารเทคโนโลยีสุรนารี 6(1): 91109. หนึ่งหทัย ขอผลกลาง, วีระพงษ์ พลนิกรกิจ และนิศาชล จำนงศรี. (2554). มองผู้หญิงกับมื่อใหม่ในสังคมไทยผ่านงานวิจัยแนวสตรีนิยมไซเบอร์. วารสารเทคโนโลยีสุรนารี 5(2): 149158. สมจิน เปียโคกสูง และนิศาชล จำนงศรี. (2553). ระบบนำทางความรู้เพื่อการเข้าถึงเนื้อหาในสื่อสิ่งพิมพ์. วารสารสารสนเทศศาสตร์ 28(3): 920. สมจิน เปียโคกสูง และนิศาชล จำนงศรี. (2553). กรอบการทำงานของระบบนำทางความรู้เพื่อการเข้าถึงเนื้อหาในสื่อสิ่งพิมพ์ (A Framework of knowledge navigation system for accessing contents in printed materials). Proceeding of the Second Conference on Knowledge and Smart Technologies (KST2010). 2425 กรกฎาคม 2553, คณะวิทยากรสารสนเทศ มหาวิทยาลัยบูรพา บางแสน จังหวัดชลบุรี. หน้า 813. Chamnongsri, Nisachol; Manmart, Lampang; Wuwongse, Vilas; Jacob, Elin K. 2011. Chapter 13 A Conceptual Model Metadata of Thai Palm Leaf Manuscripts. In Multimedia Information Extraction and Digital Heritage Preservation: Statistical Science and Interdisciplinary research Vpl.10. 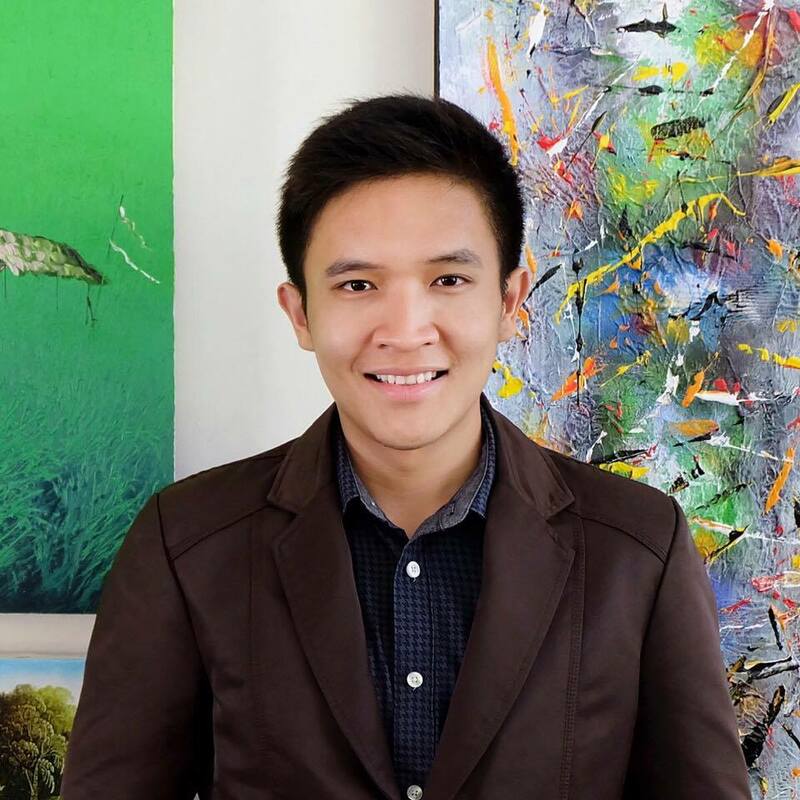 Tjan Kwang Wei, ed. Singapore, World Scienctific Publishing. Chamnongsri, Nisachol; Manmart, Lampang; Wuwongse, Vilas. (2010). The Studies of Users’ Requirement in the Development of Palm Leaf Manuscripts Metadata Schema. The Springer Lecture Notes in Computer Science Series Volume 6120/2010. p.120129. Chamnongsri, Nisachol; Manmart, Lampang; Wuwongse, Vilas. (2009). Implementation and evaluation of palm leaf manuscript metadata schema (PLMM). Proceedings of the 9th ACM/IEEECS joint conference on Digital libraries, Austin, TX, USA, Pages: 367368. นิศาชล จำนงศรี, ลำปาง แม่นมาตย์, วิลาศ วูวงศ์, อีลิน เค. จาคอบ. (2550). การปรับใช้ FRBR Model ในการพัฒนาเมทาดาทาเพื่อการค้นคืนเอกสารใบลานที่อยู่ในรูปดิจิทัล. ใน มาตรฐานเพื่อการบริการและการจัดการสารสนเทศ. หน้า 133153. การสัมมนาความร่วมมือระหว่างสถาบันอุดมศึกษาครั้งที่ 25 เรื่อง 1416 พศจิกายน 2550; นครราชสีมา. นครราชสีมา: มหาวิทยาลัยเทคโนโลยีสุรนารี. Chamnongsri, Nisachol; Manmart, Lampang; Wuwongse, Vilas; Jacob, Elin K. (2006). Applying FRBR Model as a Conceptual Model in Development of Metadata for Digitized Thai Palm Leaf Manuscripts. The Springer Lecture Notes in Computer Science Series Volume 4312/2006. p. 254263. นิศาชล จำนงศรี. (2545). เมทาดาทาและการสืบค้นสารสนเทศบนเว็บ. ว.ห้องสมุด 46(4): 112. นิศาชล จำนงศรี. (2545). ห้องสมุดดิจิทัล. ว.บรรณารักษศาสตร์และสารนิเทศศาสตร์ มข. 20(2): 114. นิศาชล จำนงศรี. (2545). เสิร์ชเอ็นจิน. ว.บรรณารักษศาสตร์และสารนิเทศศาสตร์ มข. 20(3): 4759. นิศาชล จำนงศรี. (2544). การออกแบบสารสนเทศ. ว.บรรณารักษศาสตร์และสารนิเทศศาสตร์ มข. 19(2): 1829. นิศาชล จำนงศรี. (2554). หน่วยที่ 13 การจัดการทรัพยากรสารสนเทศท้องถิ่นดิจิทัล. ใน น้ำทิพย์ วิภาวิน (บรรณาธิการ). เอกสารการสอนชุดวิชาการจัดการทรัพยากรสารสนเทศท้องถิ่น หน่วยที่ 915. สาขาวิชาศิลปศาสตร์มหาวิทยาลัยสุโขทัยธรรมาธิราช หน้า 2952. นนทบุรี : มหาวิทยาลัยสุโขทัยธรรมาธิราช. Kamollimsakul, S. (2016). The Accessibility of South East Asian Technical Universities Websites. In: Proceeding The 10th Soutth East Asian Technical Universities Consortium Symposium. Shibaura Institute of technology, Tokyo. Kamollimsakul, S., Petrie, H., & Power, C. (2014). The Importance of Web Design Guidelines for Thai Older People. (Oral Presentation). In: Proceeding the 4th Health Challenge Thailand Academic Conference, Office of Educational Affair, Royal Thai Embassy, London. Kamollimsakul, S., Petrie, H., & Power, C. (2014). Web Accessibility for Older Readers: Effects of Font Type and Font Size on Skim Reading Webpages in Thai. Lecture Notes in Computer Science. Volume 8547. pp 332-339. Springer International Publishing. Kamollimsakul, S., Petrie, H., & Power, C. (2014). The Effect of Text Color and Background Colour on Skim Reading Webpages in Thai. Communications in Computer and Information Science. Volume 435. pp 615-620. Springer International Publishing. Kamollimsakul S., Petrie H., Power C. (2013). 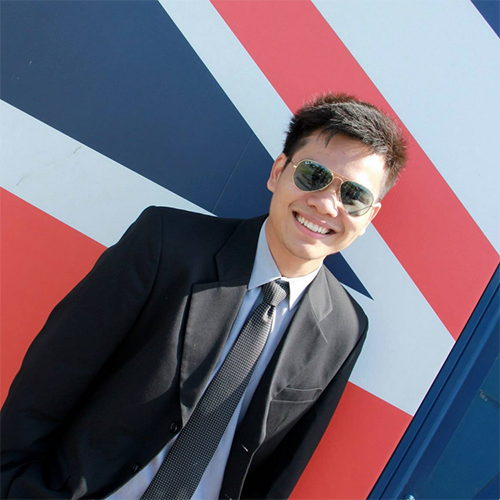 Web Design Guidelines for Thai and UK Older People: Preliminary Results. In: Proceeding the 6th Thailand-Japan International Academic Conference (TJIA), Osaka University, Osaka. Kamollimsakul S., Petrie H., Power C. (2013). The Effect of Line Spacing and Text Justification on Performance and Preferences on Web Search Tasks. In: Proceeding the 6th York Doctoral Symposium on Computer Science (YDS), University of York, York. Petrie H., Kamollimsakul S., Power C. (2013). Web Accessibility for Older Adults: Effects of Line Spacing and Text Justification on Reading Webpages. In: Proceedings the 15th International ACMSIGACCESS Conference on Computers and Accessibility (ASSETS), ACM. Kamollimsakul S., Petrie H., Power C. (2013). Reading from the Web for Older Adults with Typical Age related Vision Loss: the Effect of Line Spacing and Text Justification. In: Proceedings The European Society for Low Vision Research and Rehabilitation 2013 (ESLRR). Kamollimsakul S., Petrie H., Power C. (2013). The Effect of Text Presentation on Online Information Search Task Performance in Thai Younger and Older Adults: Research Design. In: Proceeding the 3rd Health Challenge Thailand Academic Conference, Office of Educational Affair, Royal Thai Embassy, London. Kamollimsakul S., Petrie H., Power C. (2012). Performance of Thai and UK Older People When Use Websites with Different Text Conditions. In: Proceeding the 2nd Health Challenge Thailand Academic Conference, Office of Educational Affair, Royal Thai Embassy, London. Managed and developed “Cooperative Education Management System” using Oracle Application, 10g R2. Developed business information systems using Oracle Technology. Administered the Oracle Database Server and Oracle Application Server. “Classification of Road Traffic Congestion Levels from GPS Data using a Decision Tree Algorithm and Sliding Windows”, The World Congress on Engineering 2009 (WCE2009), London, U.K. Awards for the outstanding teaching on SUT e-Learning system. Ph.D. in Computer Science. University of Nebraska-Lincoln, NE, USA. 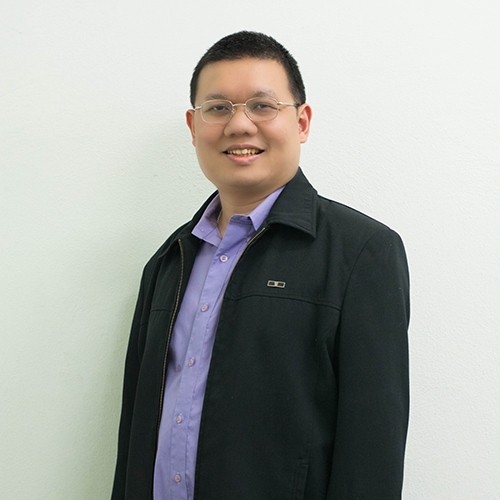 T. Thianniwet, “SPL-XFactor: A Framework for Reverse Engineering Feature Models,” Ph.D. dissertation, University of Nebraska - Lincoln, Jul 2016. T. Thianniwet. and M. B. Cohen, “Scaling up the Fitness Function for Reverse Engineering Feature Models,” in Symposium on Search-Based Software Engineering (SSBSE) 2016, Oct 2016. T. Thianniwet. and M. B. Cohen, “SPLRevO: Optimizing Complex Feature Models in Search Based Reverse Engineering of Software Product Lines,” in the First North American Search Based Software Engineering Symposium (NasBASE) 2015, Feb 2015. Thianniwet, T., S. Phosaard, and W. Pattara-Atikom. (2011). The Optimization of an Intelligent Traffic Congestion Level Classification from Motorists’ Judgments on Vehicle's Moving Patterns. In proc. of World Academy of Science, Engineering and Technology (WASET) 2011 (vol 77: pp. 636-641), Paris, France. Thianniwet, T., S. Phosaard, and W. Pattara-Atikom. (2010). Classification of Road Traffic Congestion Levels from Vehicle’s Moving Patterns: A Comparison Between Artificial Neural Network and Decision Tree Algorithm. In S.-L. AO and L. Gelman (eds.). Electronic Engineering and Computing Technology: Lecture Notes in Electrical Engineering (vol 60: pp. 261-271), Netherlands: Springer. Thianniwet, T., S. Phosaard, and W. Pattara-Atikom. (2009). Classification of Road Traffic Congestion Levels from GPS Data using a Decision Tree Algorithm and Sliding Windows. In proc. of The World Congress on Engineering (WCE) 2009 (vol I: pp. 105-109), London, U.K.
Thianniwet, T., K. Kerdprasop and N. Kerdprasop. (2005). The sampling methods for determining clusters in large data sets. In proc. of The 31th congress on science and technology of Thailand (pp. 47-48), Suranaree University of Technology, Nakhon Ratchasima, Thailand. Kerdprasop, N., K. Kerdprasop, P. Rattanasaring, L. Khomnothai and T. Thianniwet. (2004). Convergence and noise-tolerance properties of support vector machines. In proc. of The 30th congress on science and technology of Thailand (p. 39), Muang Thong Thani, Bangkok, Thailand. Kerdprasop, N., K. Kerdprasop, L. Khomnothai and T. Thianniwet. (2004). The impact of noise at different data attributes. In proc. of The 1st KMITL int. conf. on integration of science & technology for sustainable development (vol. 1: pp. 275-278), King Mongkut’s Institute of Technology Ladkrabang, Thailand. พรอนันต์ เอี่ยมขจรชัย. (2546). ความพึงพอใจต่อเว็บช่วยสอนเรื่องบริการของศูนย์บรรณสารและสื่อการศึกษา มหาวิทยาลัยเทคโนโลยีสุรนารี. วารสารบรรณารักษศาสตร์. 32(1): 51-64. ________. (2549). เอกสารประกอบการสอนรายวิชา 204214 เทคโนโลยีในงานสารสนเทศ. ________. (2555). การพัฒนาระบบการจัดหมวดหมู่ฟาเซทสำหรับสารสนเทศดิจิทัล. วารสารสารสนเทศศาสตร์. 30(2): 61-75. พรอนันต์ เอี่ยมขจรชัย และลำปาง แม่นมาตย์. (2556). ระบบการจัดระบบความรู้ด้านวัฒนธรรม. วารสารสารสนเทศศาสตร์. 31(2): 93-122. Iamkhajornchai, P. (2013). Developing Framework of Knowledge Organization System for Thai Cultural Knowledge Domain. Paper presented at Doctoral Student Consortium (DSC 2013) Co-located with the 15th International Conference on Asia-Pacific Digital Libraries (ICADL 2013), Bangalore, India. 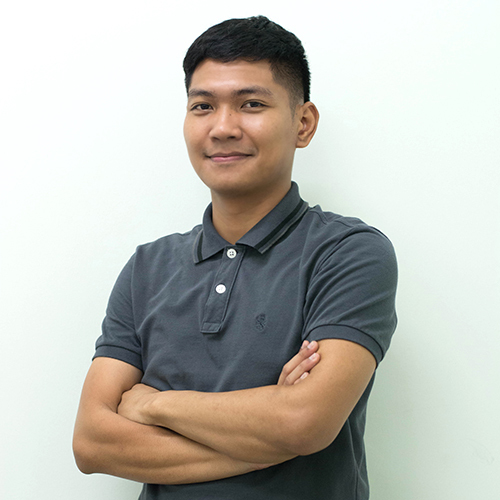 Iamkhajornchai, P. (2014). Developing Framework of Knowledge Organization System for Thai Cultural Knowledge Domain. Paper presented at International Summer School of Informatics: A joint event by T3 Information Schools (Taiwan-Thailand-Tsukuba), Media Union, Kasuga Area, University of Tsukuba, Japan. 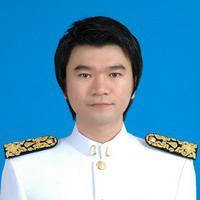 Iamkhajornchai, P. (2014). Developing Framework of Knowledge Organization System for Thai Cultural Knowledge Domain. Paper presented at 6th Asia Library and Information Research Group (ALIRG) Workshop - in collaboration with CiSAP, Department of Library & Information Science, Faculty of Computer Science & Information Technology. University of Malaya, Malaysia. Subsorn, P., & Singh, K. (2007). DSS applications as a business enhancement strategy. Proceedings of the Third Transforming Information and Learning Conference (TILC 2007). Perth: ECU. Subsorn, P., Xiao, J., & Singh, K. (2008a). A web-based application of group decision making in a fuzzy environment. Proceedings of the Fifth International Conference on Electrical Engineering/Electronics, Computer, Telecommunications and Information Technology (ETICON 2008). Krabi, Thailand. Subsorn, P. (2008b). Enhancing rubber forecasting: The case of the Thai rubber industry. Poster session presented at the Ninth Postgraduate Electrical Engineering and Computing Symposium (PEECS 2008), Perth, Western Australia. Subsorn, P., & Xiao, J. (2009a). Developing forecasts for Thai rubber latex prices: Non-neural network training and neural network training approaches. Proceedings of the Tenth Postgraduate Electrical Engineering and Computing Symposium (PEECS 2009). Perth: ECU. Subsorn, P., & Xiao, J. (2009b). Price forecasting in the public agricultural rubber industry in Thailand: A preliminary investigation. Proceedings of the Third International Conference on Artificial Intelligence in Science and Technology (AISAT 2009). Hobart, Tasmania. Subsorn, P., Xiao, J., & Clayden, J. (2010). Forecasting rubber production using intelligent time series analysis to support decision makers. In G. Devlin (Ed. ), Advances in Decision Support Systems. Vienna, Austria: IN-TECH Education and Publishing. Subsorn, P., & Limwiriyakul, S. (2011a). A comparative analysis of the security of internet banking in Australia: A customer perspective. Proceedings of the 2nd International Cyber Resilience Conference (ICR2011), Perth, Western Australia. Xiao, J. & Subsorn, P. (2012a). A new latex price forecasting model to reduce the risk of rubber overproduction in Thailand. 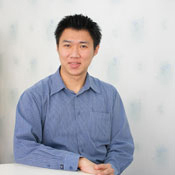 In Jie Lu, Lakhmi Jain, Guangquan Zhang (Ed.). Risk Management in Decision Making: Intelligent Methodologies and Application, Springer. Subsorn, P. & Limwiriyakul, S. (2012b). An analysis of internet banking security of foreign subsidiary banks in Australia: A customer perspective. International Journal of Computer Science Issues. IJCSI, 9 (2). Limwiriyakul S. & Subsorn, P. (2012c). A customer perspective investigation on internet banking security of licensed banks in Hong Kong. Proceeding of the 2012 International Conference on Security and Management (SAM'12), Las Vegas, USA. Subsorn, P. & Limwiriyakul S. (2012d). 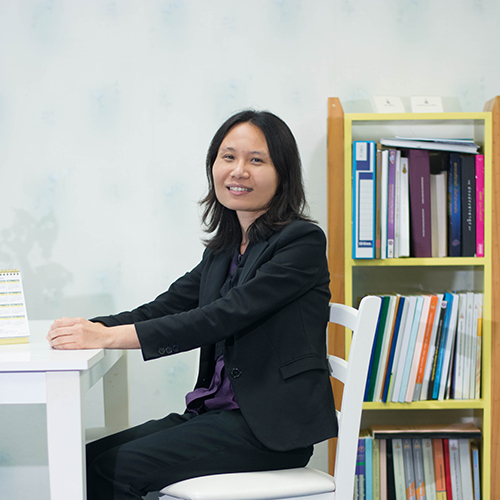 A case study of internet banking security of Mainland Chinese banks: A customer perspective. Proceeding of the Fourth International Conference on Computational Intelligence, Communication Systems and Networks (CICSYN2012), Phuket, Thailand. พิชญสินี กิจวัฒนาถาวร. "การพัฒนาระบบสกัดความรู้แบบอัตโนมัติจากบทวิจารณ์ออนไลน์ของลูกค้า." วิทยานิพนธ์ปริญญามหาบัณฑิต, สาขาวิชาเทคโนโลยีสารสนเทศ มหาวิทยาลัยเทคโนโลยีสุรนารี, 2552. Phichayasini Kitwatthanathawon. "The Design of an Analysis Module for Online Travel Accommodation Reviews." Doctor of Information Science Dessertation, School of Information Technology, Suranaree University of Technology, 2013. พิชญสินี กิจวัฒนาถาวร, ธรา อั่งสกุล และจิติมนต์ อั่งสกุล. (2553). ระบบสกัดความรู้จากบทวิจารณ์ออนไลน์ของนักท่องเที่ยว. วารสารเทคโนโลยีสุรนารี Suranaree Journal of Social Science, 5(1): 35-48. พิชญสินี กิจวัฒนาถาวร, ธรา อั่งสกุล และจิติมนต์ อั่งสกุล. (2556). ระบบสกัดความรู้จากบทวิจารณ์ออนไลน์ โดยใช้ตรรกศาสตร์คลุมเครือ. วารสารวิชาการพระจอมเกล้าพระนครเหนือ, 23(2): 363-377. (Under review) Kitwatthanathawon, P., Angskun, J. and Angskun, T. (2012). A Knowledge Extraction System from Online Reviews using Fuzzy Logic and Tourism Ontology. ECTI Transactions on Computer Eng., Computer and Information Technology. Kitwatthanathawon, P., Angskun, J. and Angskun, T. (2014). An Automatic Analysis System for Online Hotel Reviews. WIT Transactions on Information and Communication Technologies, 54: 51-59. สมจิน เปียโคกสูง, ปิยรัตน์ งามสนิท, พิชญสินี กิจวัฒนาถาวร, ธรา อั่งสกุล และจิติมนต์ อั่งสกุล. (2552). ระบบวางแผนการเดินทางท่องเที่ยวอัจฉริยะเพื่อการประหยัดพลังงาน. 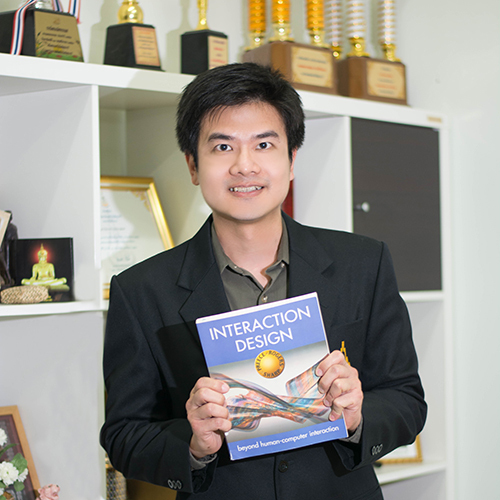 ใน การประชุมวิชาการ The First Conference on Application Research and Development (ECTI-CARD 2009), 4-6 พฤษภาคม 2552. โรงแรมอมารี แอร์พอร์ต ดอนเมือง: กรุงเทพ, หน้า 67-72. พิชญสินี กิจวัฒนาถาวร, ธรา อั่งสกุล และจิติมนต์ อั่งสกุล. (2553), ระบบสกัดความรู้แบบอัตโนมัติจากคำวิจารณ์ของนักท่องเที่ยว. ใน การประชุมวิชาการงานวิจัยและพัฒนาเชิงประยุกต์ ครั้งที่ 2 (ECTI-CARD 2010), 10-12 พฤษภาคม 2553. โรงแรมจอมเทียนปาล์มบีช พัทยา: ชลบุรี. หน้า 349-354. พิชญสินี กิจวัฒนาถาวร, ศุภกฤษฏิ์ นิวัฒนากูล, นิศาชล จำนงศรี, ธรา อั่งสกุล และจิติมนต์ อั่งสกุล. (2554). ระบบสกัดความรู้จากบทวิจารณ์ออนไลน์ โดยใช้โครงข่ายประสาทเทียมและตรรกศาสตร์คลุมเครือ. 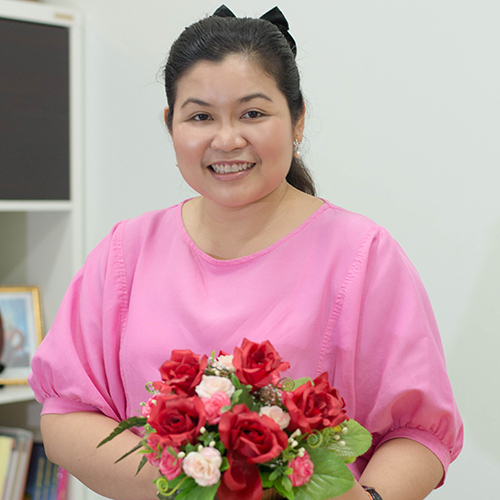 ใน การประชุมวิชาการบัณฑิตศึกษา ครั้งที่ 4 (SUTGRAD#4), 7-8 กรกฎาคม 2554. มหาวิทยาลัยเทคโนโลยีสุรนารี: นครราชสีมา. หน้า 57-69. Thangsupachai, N., Kitwatthanathawon, P., Wanapu, S. and Kerdprasop, N. (2011). Clustering Large Datasets with Apriori-based Algorithm and Concurrent Processing. In Proceeding of The International MultiConference of Engineers and Computer Scientists (IMECS2011). 16-18 March, 2011, The International Association of Engineers (IAENG): Hong Kong. vol. 1, pp. 382-387. Kitwatthanathawon, P., Angskun, T. and Angskun, J. (2012). A Knowledge Extraction System from Online Reviews using Fuzzy Logic. InProceeding of The International Joint Conference on Computer Science and Software Engineering 2012 (JCSSE). 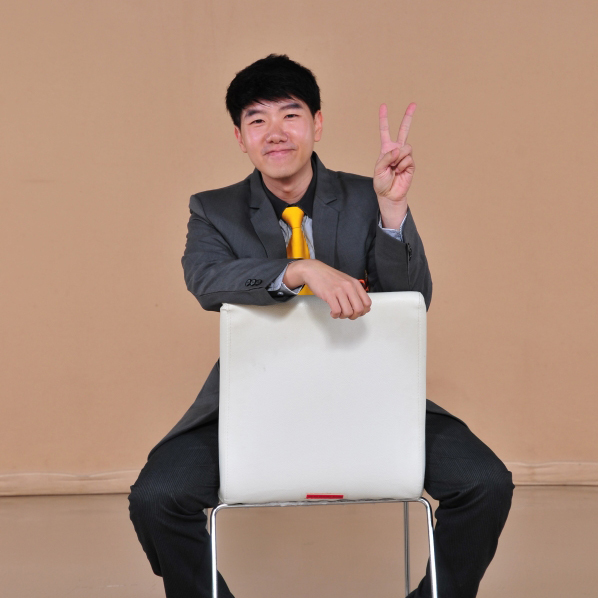 May 30-June 1, 2012, University of the Thai Chamber of Commerce: Thailand. pp. 190-197. ธวัชพงษ์ พิทักษ์. "การใช้เครือข่ายทางสังคมเพื่อเพิ่มประสิทธิภาพของระบบจัดการเนื้อหาทางการเรียนรู้." วิทยานิพนธ์ปริญญามหาบัณฑิต, สาขาวิชาเทคโนโลยีสารสนเทศ มหาวิทยาลัยเทคโนโลยีสุรนารี, 2552. Thawatphong Phithak. " The development of an automatic 3D animation builder for displaying ukulele playing." Doctor of Information Science Dissertation, School of Information Technology, Suranaree University of Technology, 2016. ธวัชพงษ์ พิทักษ์, หนึ่งหทัย ขอผลกลาง และจิติมนต์ อั่งสกุล (2553). การผสมผสานระบบจัดการเนื้อหาทางการเรียนรู้กับเว็บล็อกภายใต้กรอบการเรียนรู้อิเล็กทรอนิกส์ (Integrating Learning Content Management System with Weblog under E-Learning Framework). มหาวิทยาลัยเทคโนโลยีสุรนารี (วารสารเทคโนโลยีสุรนารี), 4(1), 79-93. Phithak, T., Khopolklang, N. and Angskun, J. (2012). ผลกระทบของเครือข่ายทางสังคมที่มีต่อระบบทางการ เรียนรู้อิเล็กทรอนิกส์ (The Impact of Social Networking on E-Learning Systems). Srinakharinwirot University (Journal of Science and Technology), 4(7), 37-54. Phithak, T., Angskun, J. and Angskun, T. (2014). Strumming Pattern Recognition from Ukulele Songs. Future Information Engineering (2 Volume Set), 49, 83-91. SCOPUS. Phithak, T., Angskun, J. and Angskun, T. (2015). A Machine Learning-based Approach for Strumming Pattern Recognition from Ukulele Songs. International Information Institute (Tokyo). Information, 18(2), 705. SCOPUS. Wanapu, S., Phithak, T. and Kittidachanupap, N. (2016). Selecting Classification Model for the Personalized Movie Recommendation System by Feature Adjustment Method. In Proceeding of The 6th International Workshop on Computer Science and Engineering, WCSE 2016, SCOPUS. Angskun, T., Phithak, T. and Angskun, J. (2016). A Personalized System for Tourist Attraction Recommendation. In Proceeding of The 6th International Workshop on Computer Science and Engineering, WCSE 2016, SCOPUS. Kamollimsakul, S., Phithak, T., Iamkhajornchai, P. and Kitwatthanathawon, P. (2016). Impact of Physical and Cognitive Declines in Older People on Use of Digital Technology. In Proceeding of The 10th National Conference on Medicine. Surasammanakarn, Nakhon Ratchasima. Kamollimsakul, S. and Phithak, T. (2016). 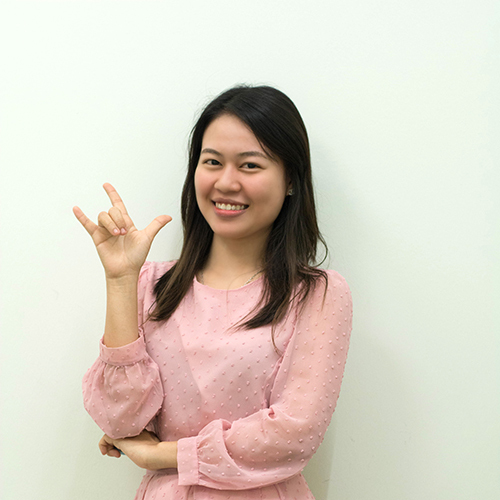 The Accessibility Evaluation of Thai e-Government Websites. In Proceeding of The 3rd International Conference on Social Science. Bali. Thangsupachai, N. (2010). Analysis and Design Web based E-Learning with XML for toward knowledge and Information Sharing. In Annual Global Business, Information Technology and Management for Economic Development Conference (BITMED2010). China, Beijing. Thangsupachai, N. (2010). Object Oriented User Interface Design for Web Application: In Library Automation Case Study. In International Conference on industrial globalization and Technology Innovation (ITIA 2010). China, Nanjing. Thangsupachai, N., Wanapu, S., Kitwatthanathawon, P. and KerdPrasop, N. (2011). Clustering Large Datasets with Apriori-based Algorithm and Concurrent Processing. In International multiconference of engineering and computer scientist (IMECS' 2011). Hong Kong, Kaoloon: IEEE. Thangsupachai, N., Niwattanakul, S. and Chamnongsri, N. (2014). Learning Object Metadata Mapping for Linked Open Data. In the 16th International Conference on Asia-Pacific Digital Libraries (ICADL 2014). Thailand, Chiang Mai. Thangsupachai, N., Niwatthanakul, S. and Chamnongsri, N. (2015). Mapping Learning Object Resource Metadata for Retrieval via Linked Open Data. Information. 18 (12): 5129-5142. นรินทร ฉิมสุนทร. ภาพลักษณ์ของมหาวิทยาลัยเทคโนโลยีสุรนารี (มทส.) ในสายตาประชาคม มทส. ครูแนะแนว ผู้ปกครอง และนักเรียน. ทุนวิจัยโดย มหาวิทยาลัยเทคโนโลยีสุรนารี, 2550. (ผู้ร่วมวิจัย). Wongkoblap, A., Kotcharat, H., Angskun, T., and Angskun, J. 2011. A Tourism Information Searching System via the Semantic Web, National Conference on Computer Information Technologies (CIT2011), Mahidol University, Thailand, Jan 26-28, 2011, pp. 119-124.